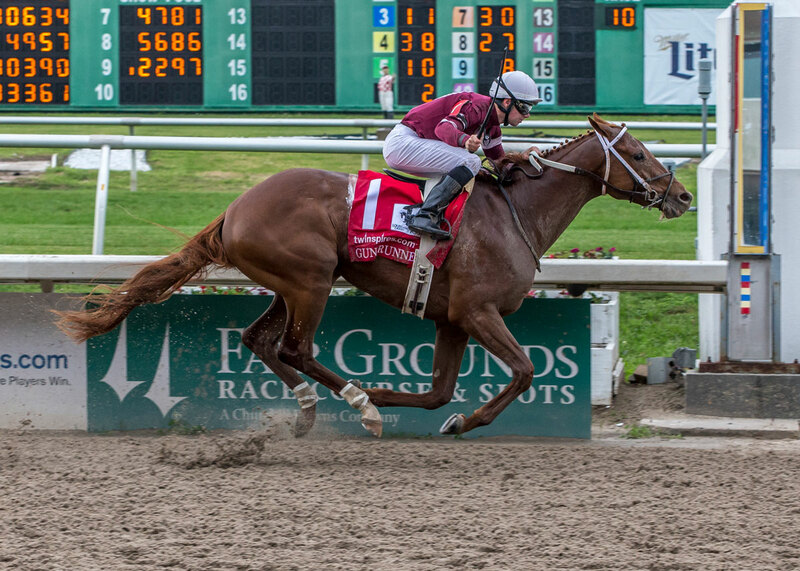 Gun Runner is trained by Steven M. Asmussen, owned by Winchell Thoroughbreds LLC and Three Chimneys Farm and bred by Besilu Stables, LLC. 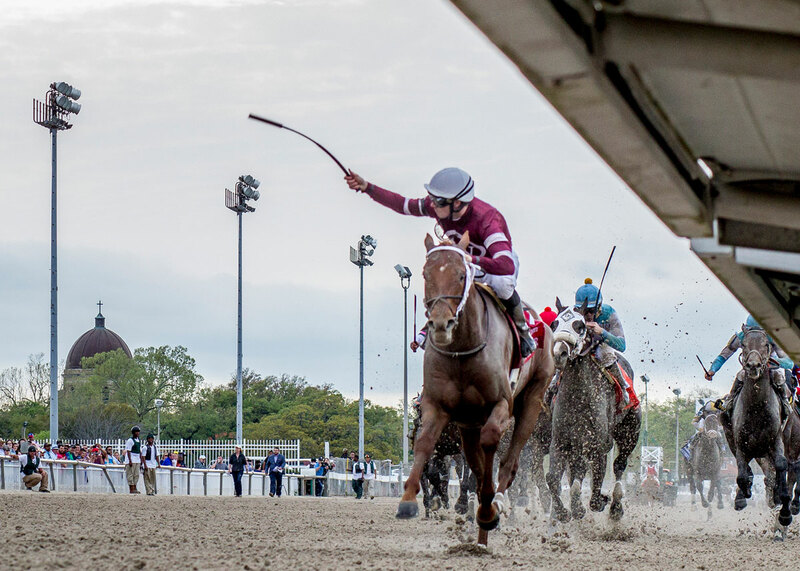 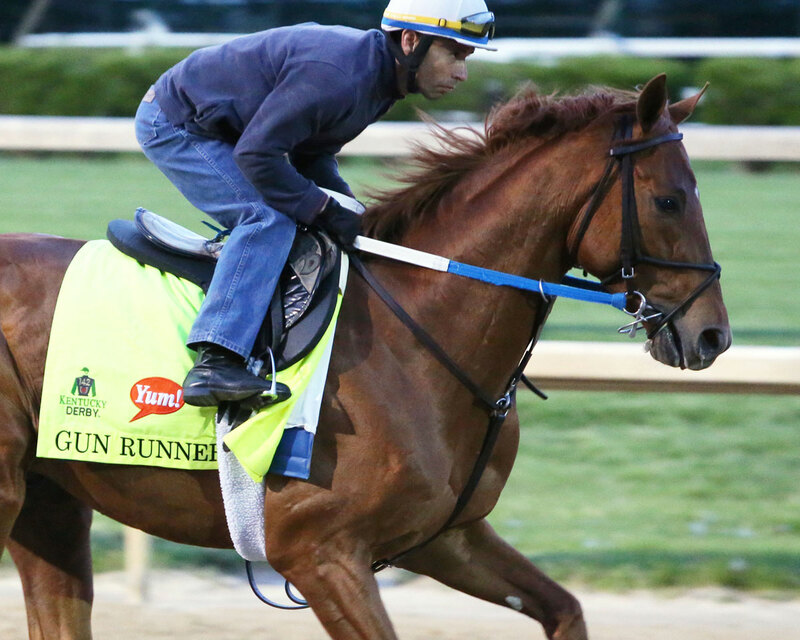 Gun Runner earned his way to the Kentucky Derby by winning the Louisiana Derby and Risen Star Stakes. 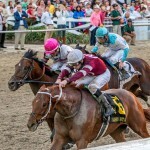 Gun Runner also placed third in the Kentucky Jockey Club Stakes. 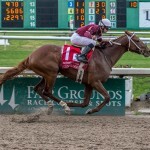 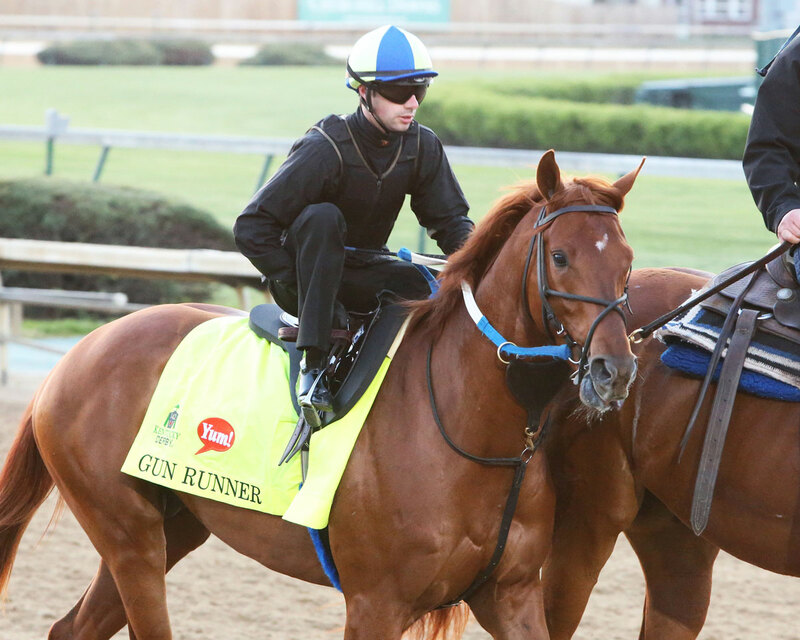 Gun Runner teams up with jockey Florent Geroux for the 2016 Run for the Roses. 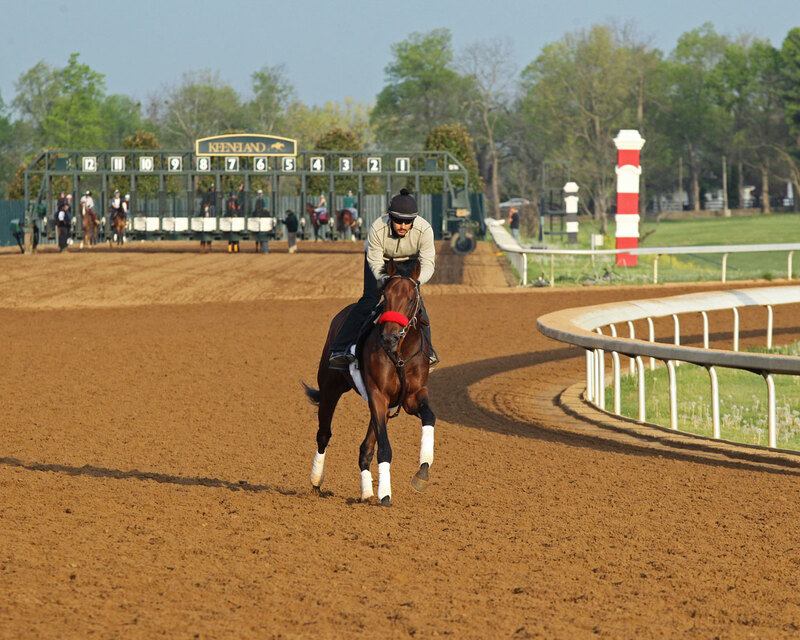 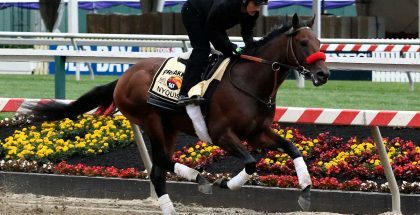 Nyquist is trained by Doug F. O’Neill, owned by Reddam Racing LLC. 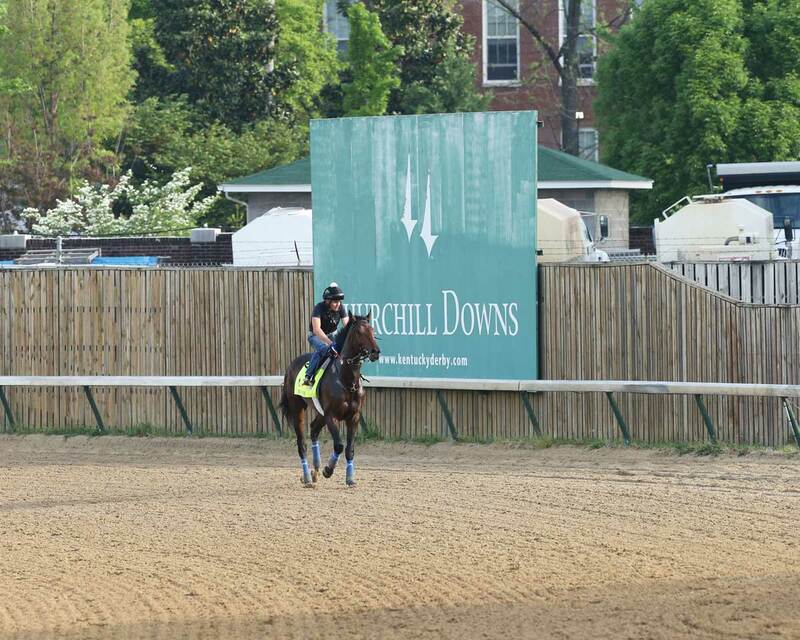 and bred by Summerhill Farm. 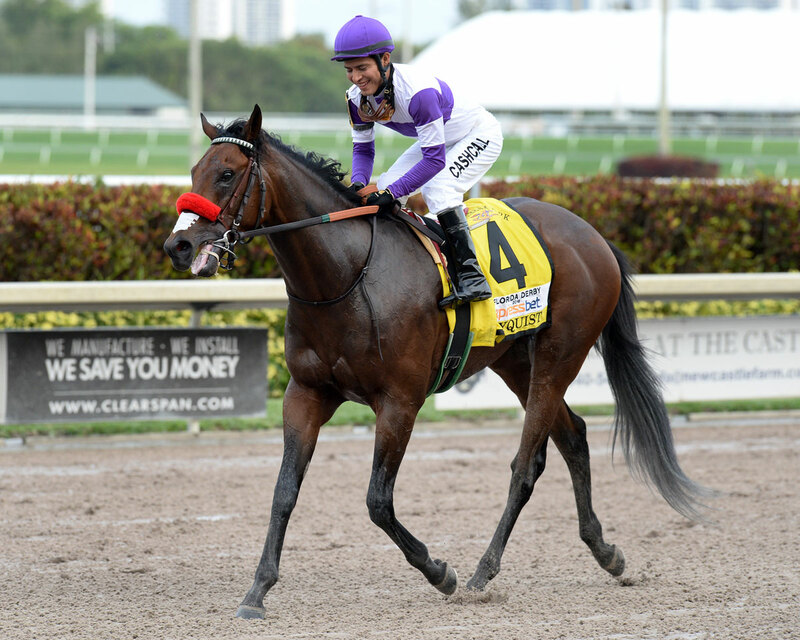 Nyquist earned his way to the Kentucky Derby winning the Florida Derby, FrontRunner Stakes and Breeders’ Cup Juvenile. 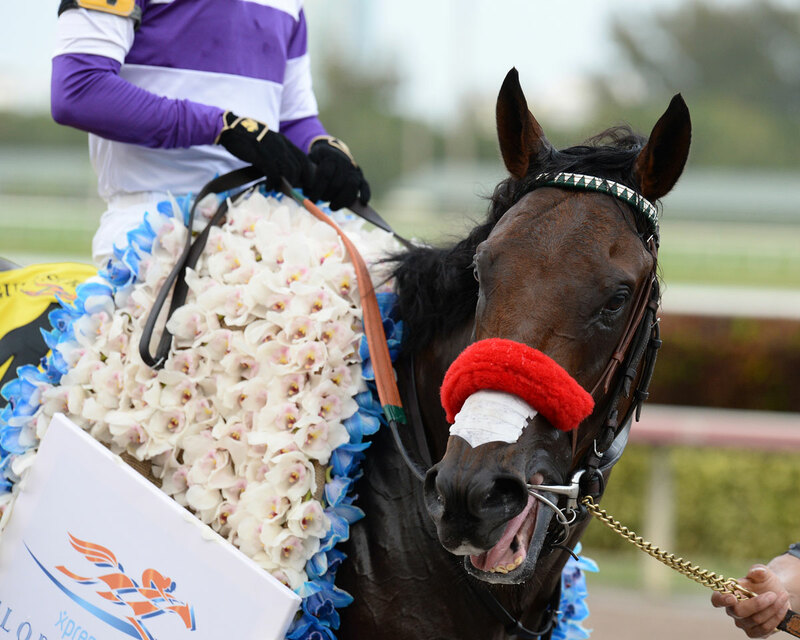 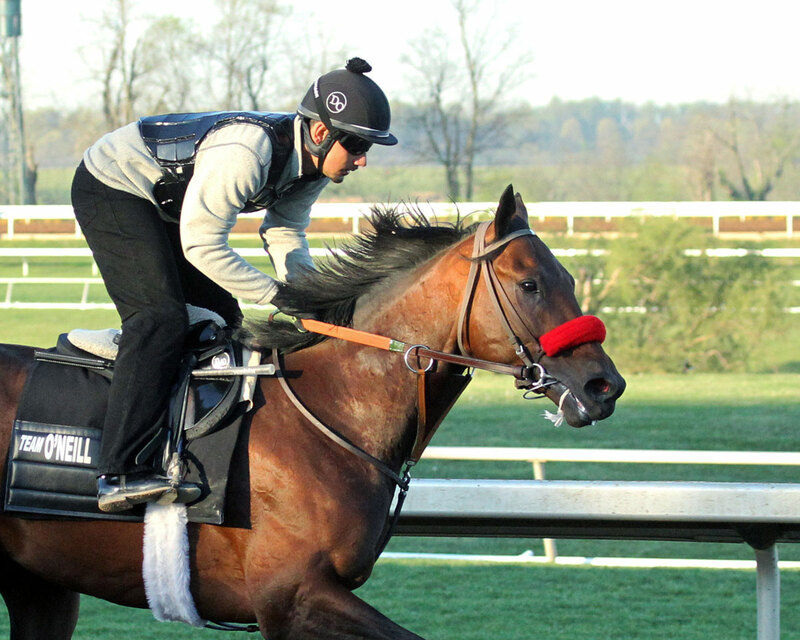 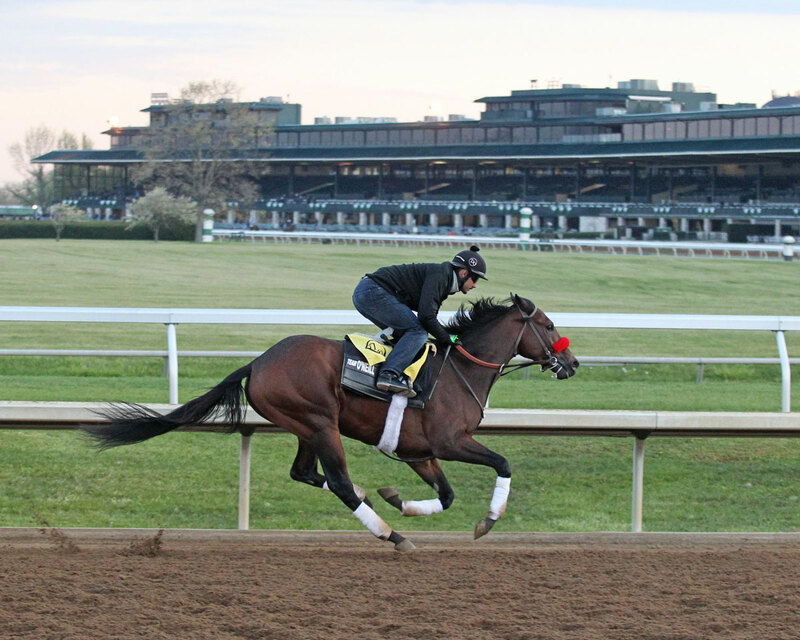 Nyquist teams up with Mario Gutierrez for the 2016 Run for the Roses. 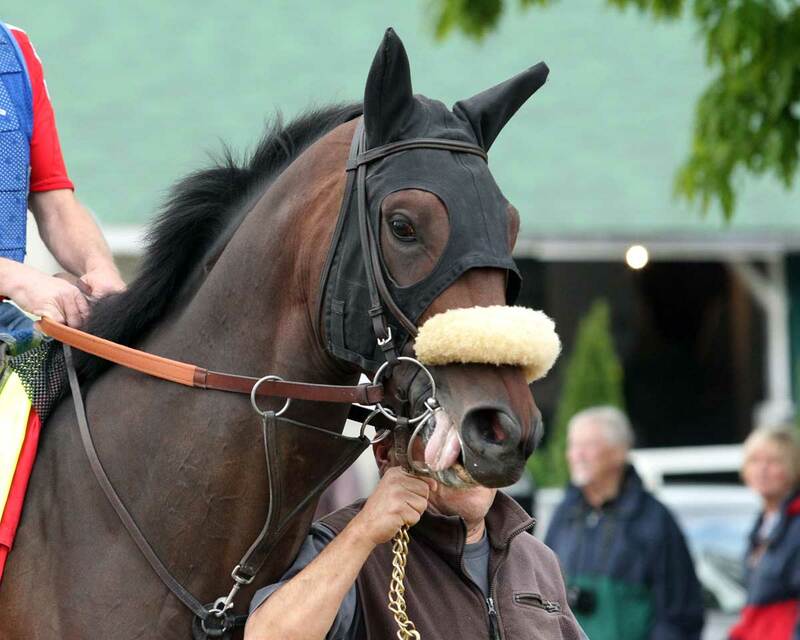 Exaggerator is trained by J. Keith Desormeaux, owned by Big Chief Racing LLC. 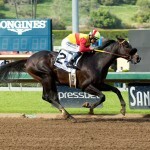 and bred by Joseph B. Murphy. 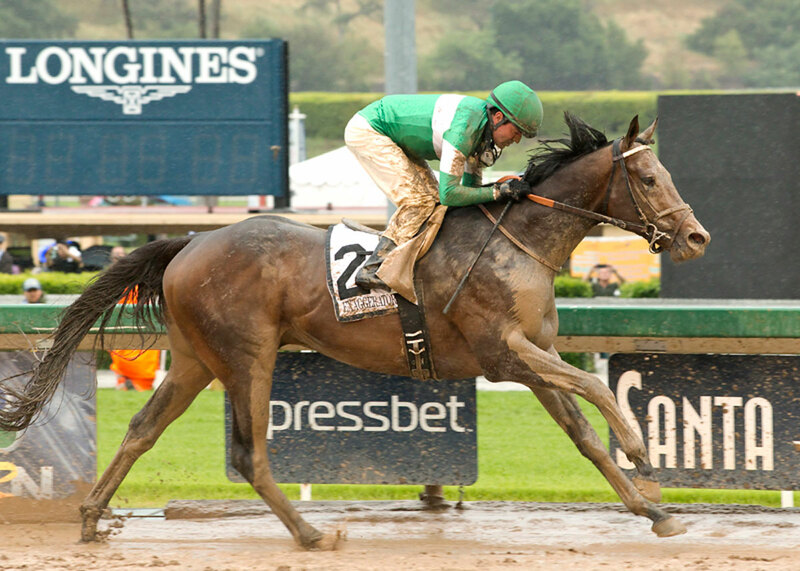 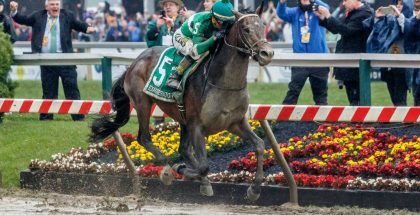 Exaggerator earned his way into the Kentucky Derby by gaining points in the Santa Anita Derby, San Felipe Stakes, Delta Downs Jackpot, Breeders’ Cup Juvenile and Breeders’ Futurity. 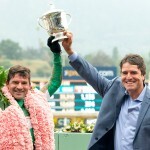 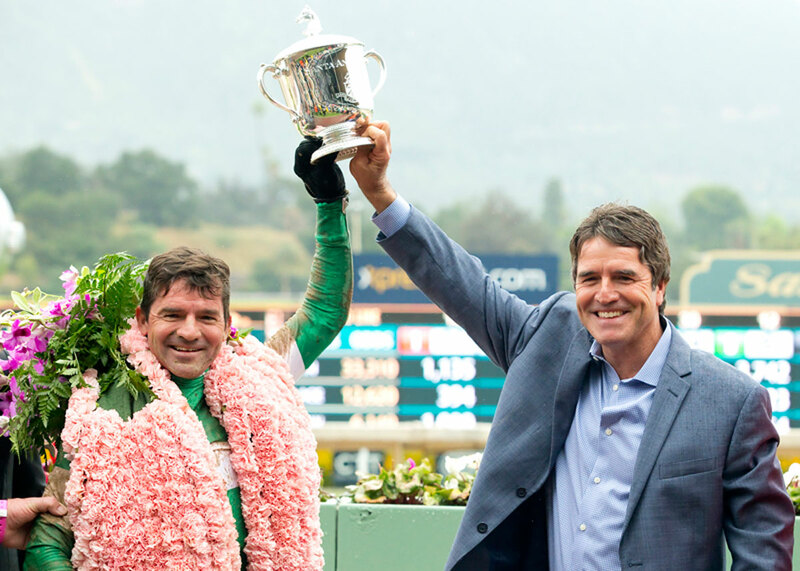 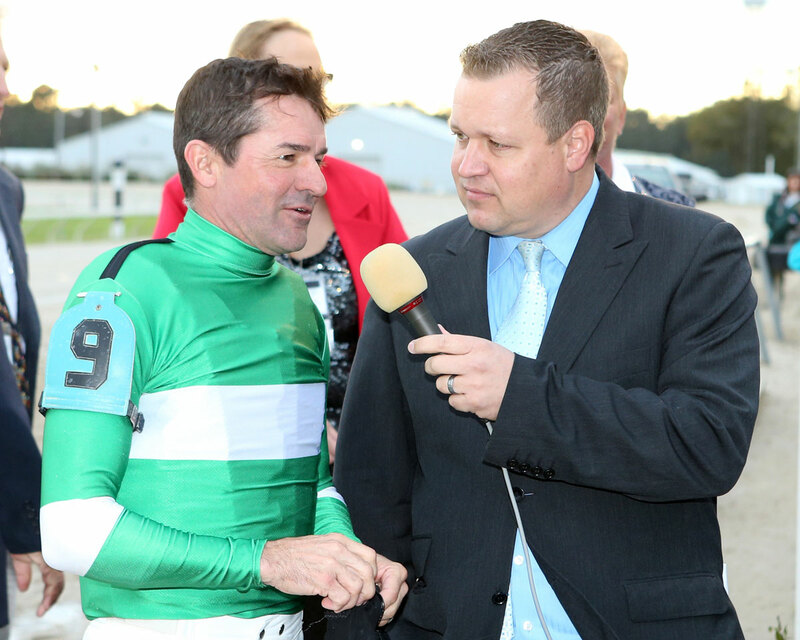 Exaggerator teams up with jockey Kent J. Desormeaux for the 2016 Run for the Roses. 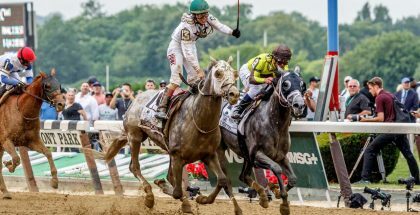 Outwork is trained by Todd Pletcher, owned by Repole Stables and bred by Repole Stables INC. Outwork earned his way into the Kentucky Derby by winning the Wood Memorial Stakes and finishing second in the Tampa Bay Derby. 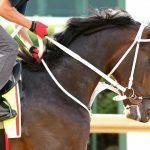 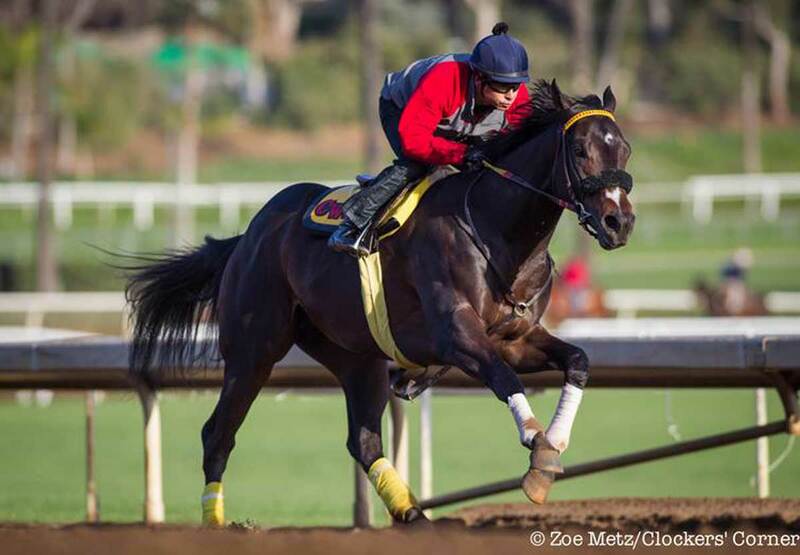 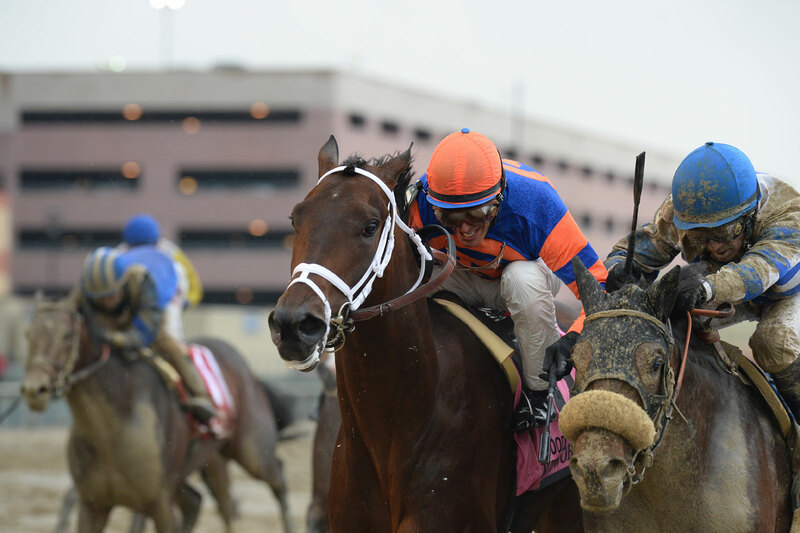 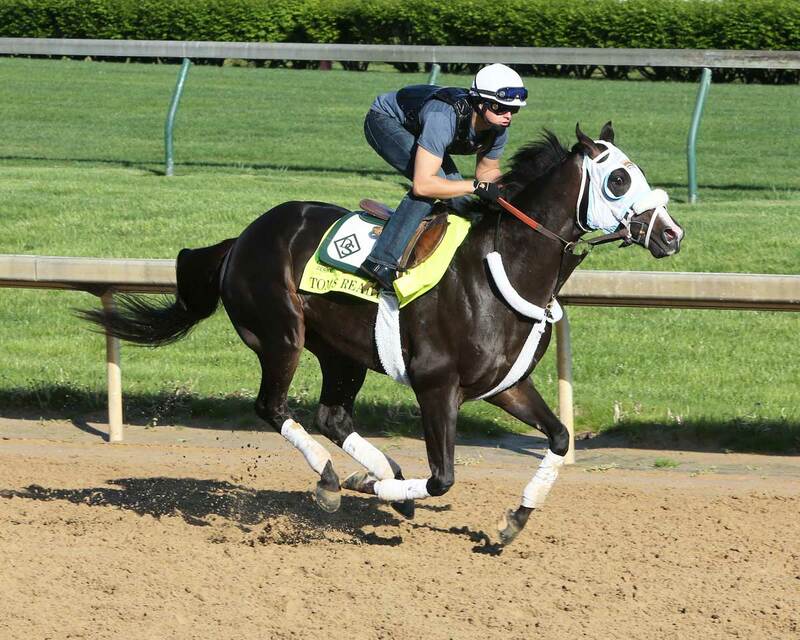 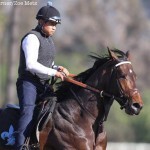 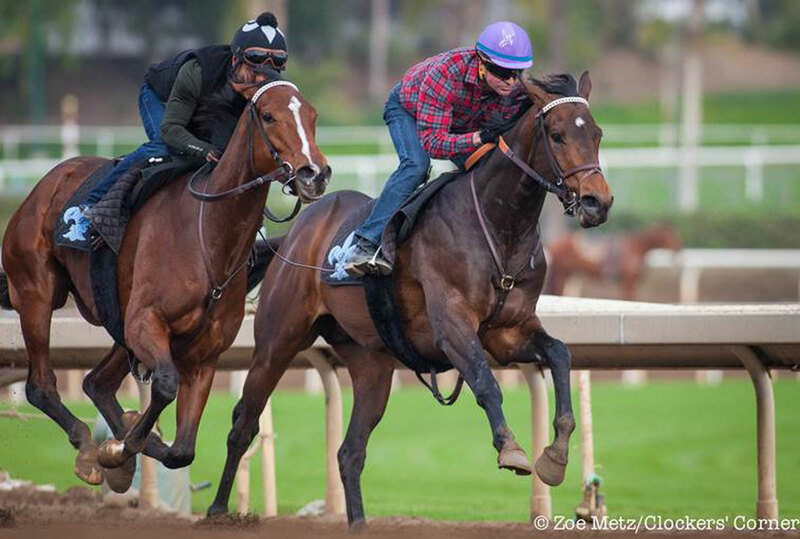 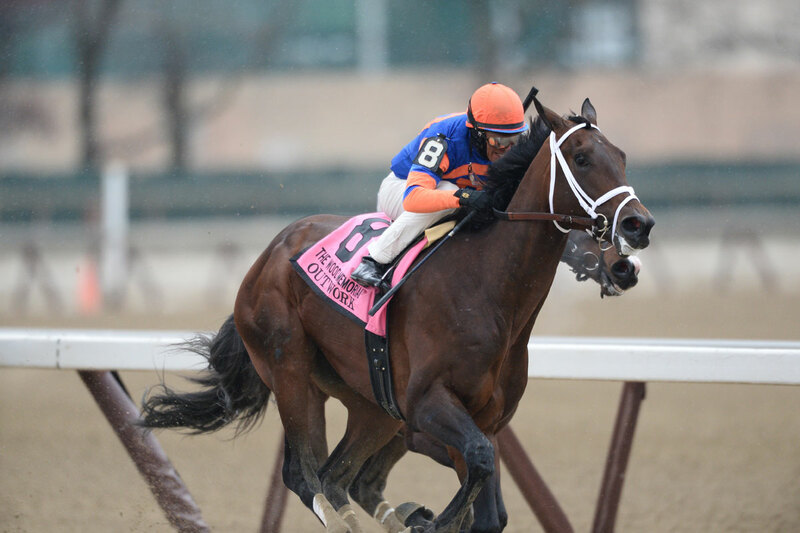 Outwork teams up with jockey John Velazquez for the 2016 Run for the Roses. 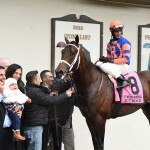 Brody’s Cause is trained by Dale L. Romans, owned by Albaugh Family Stable and bred by Gabriel Duignan, William Arvin, Jr. & Petaluma Bloodstock. 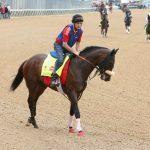 Brody’s Cause earned his way into the Kentucky Derby starting gate by winning the Blue Grass Stakes and Breeders’ Futurity. 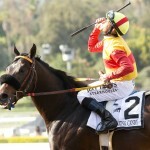 Brody’s Cause also earned points in the Tampa Bay Derby and Breeders’ Cup Juvenile. 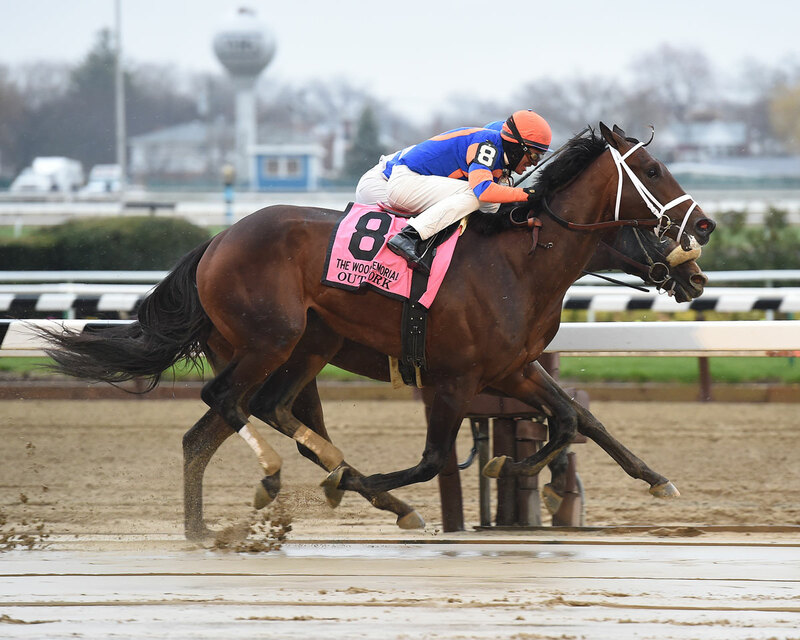 Brody’s Cause teams up with jockey Luis Saez for the 2016 Run for the Roses. 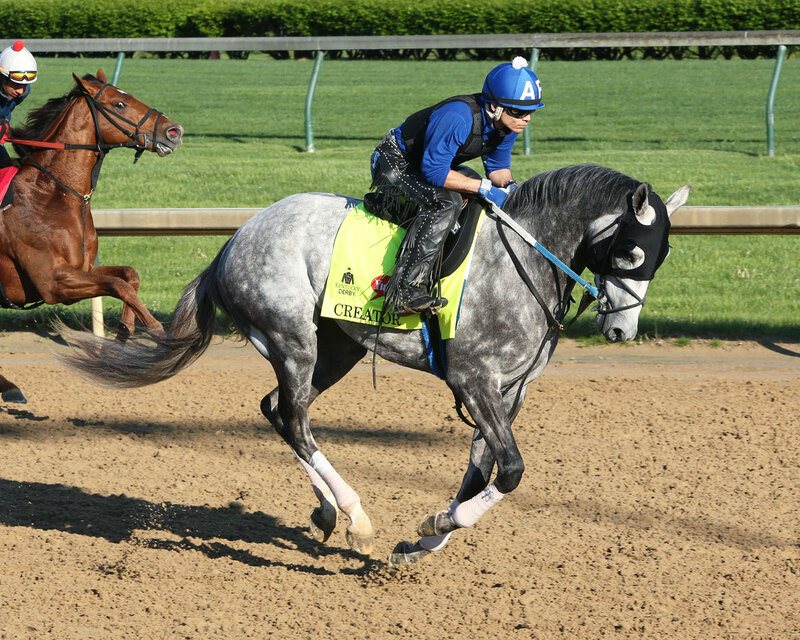 Creator is trained by Steven M. Asmussen, owned by WinStar Farm LLC. 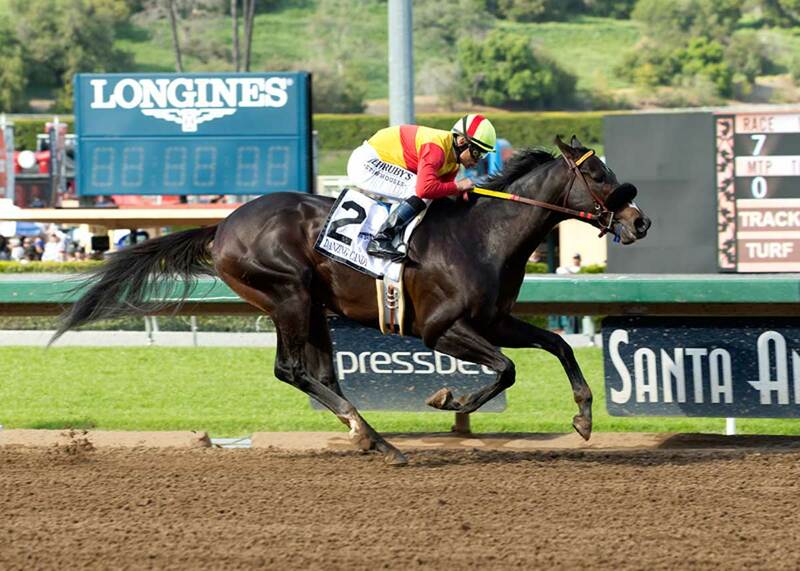 and bred by Mt.Brilliant Broodmares I LLC. 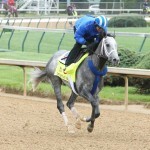 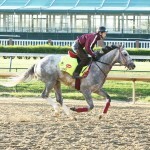 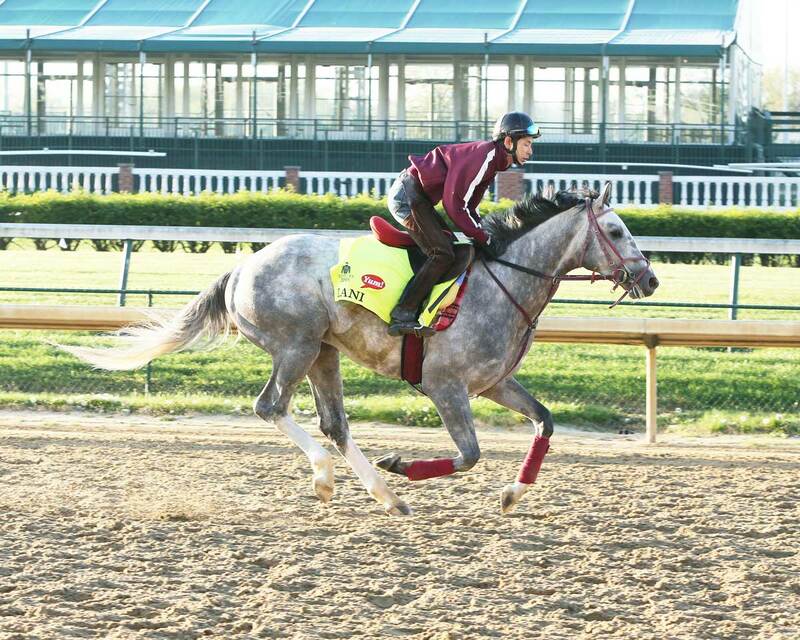 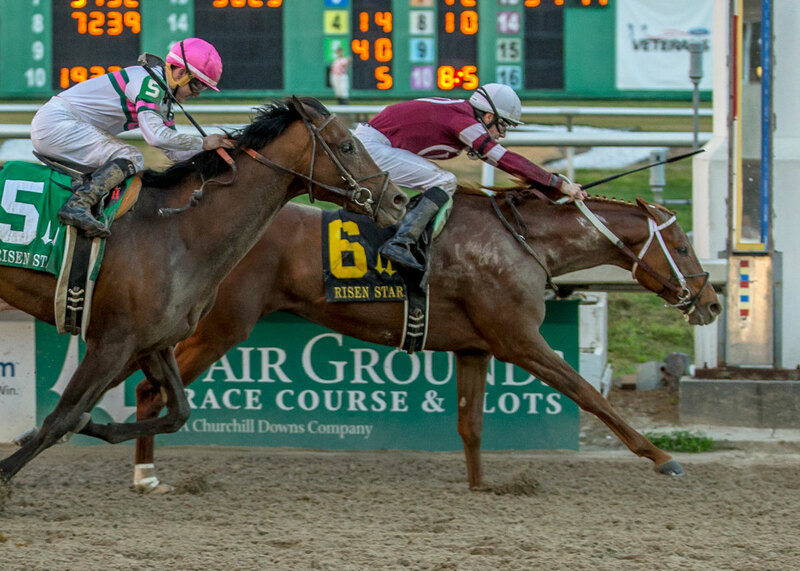 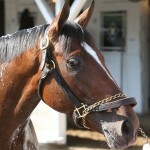 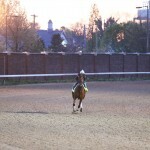 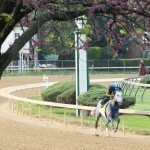 Creator earned his way into the Kentucky Derby by winning the Arkansas Derby and finishing third in the Rebel Stakes. 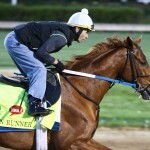 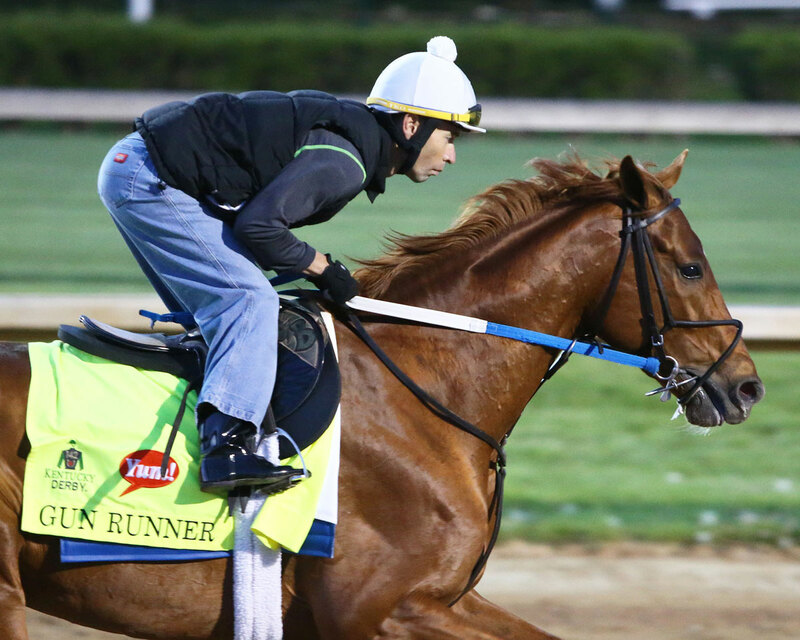 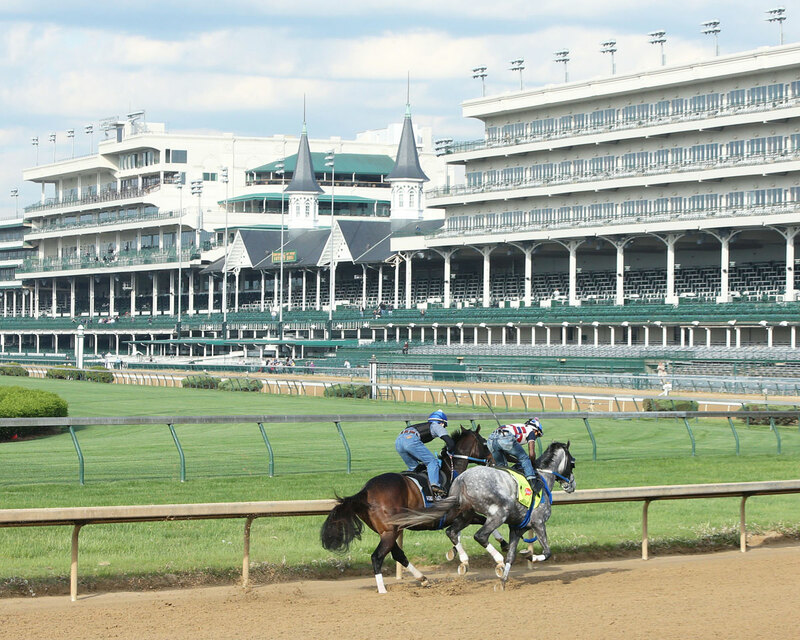 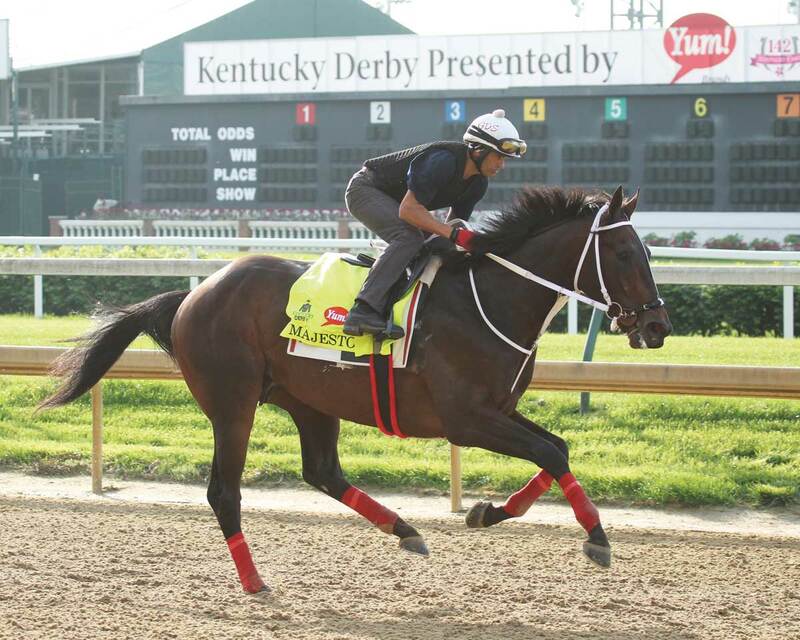 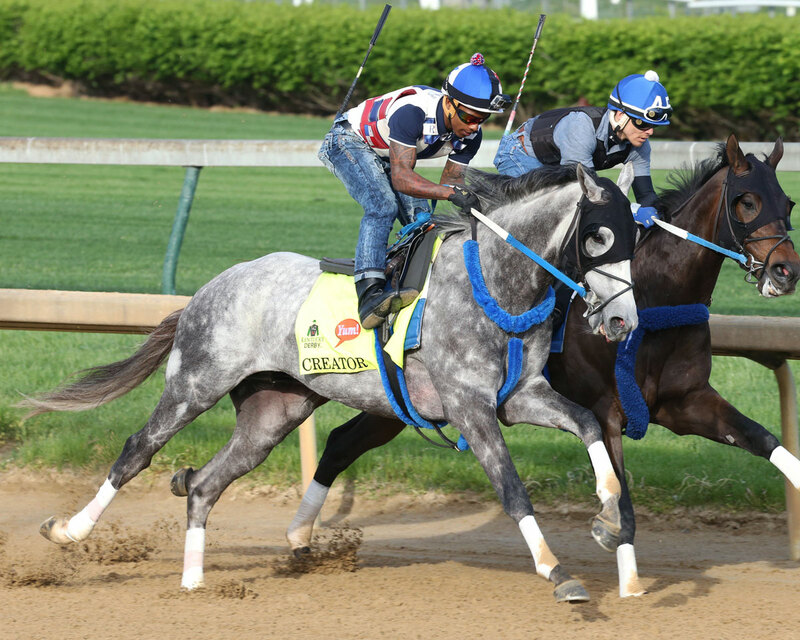 Creator teams up with jockey Ricardo Santana, Jr. for the 142nd running of the Kentucky Derby. 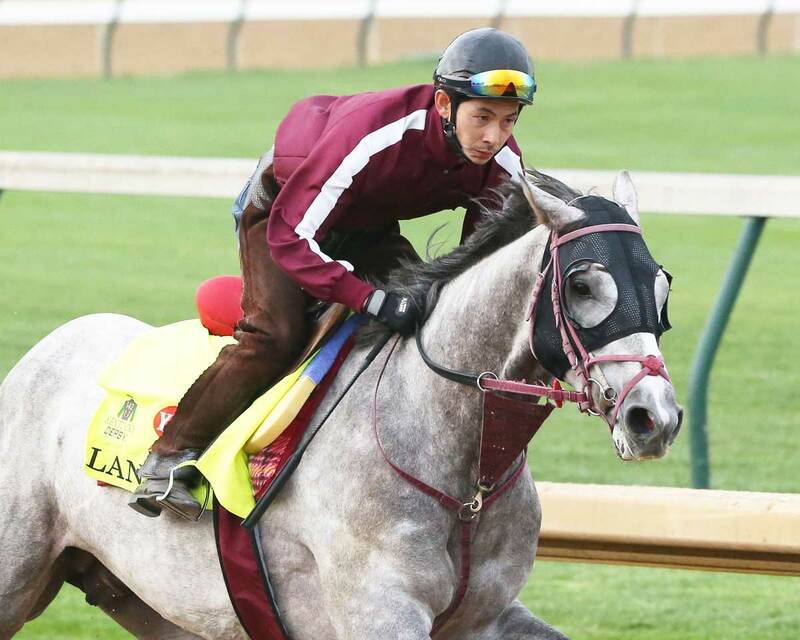 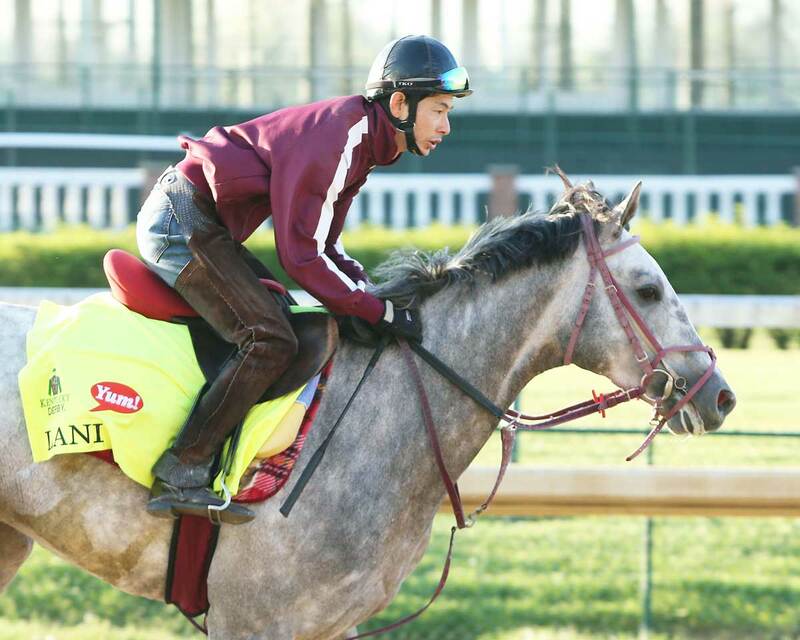 Lani is trained by Mikio Matsunaga, owned by Ms. Yoko Maeda and bred by North Hills Co. Limited. 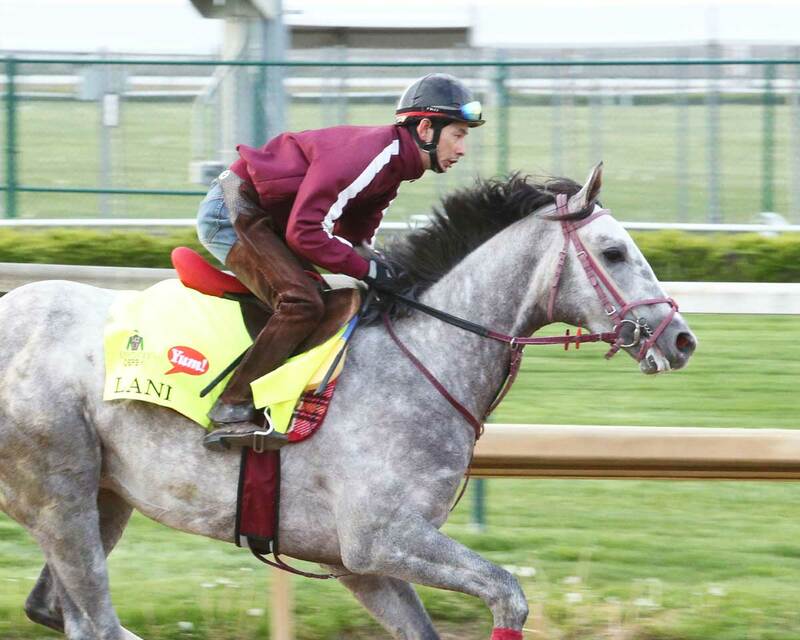 Lani earned his way into the Kentucky Derby by winning the UAE Derby in Dubai. 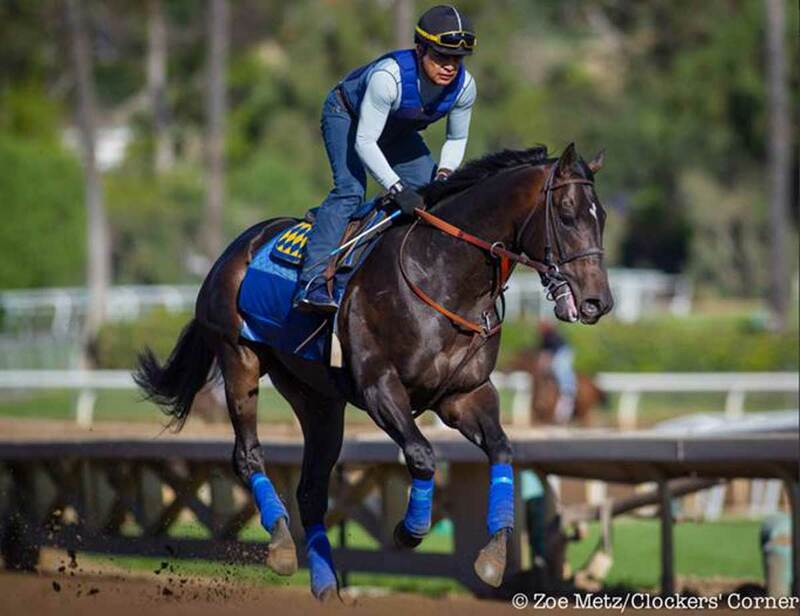 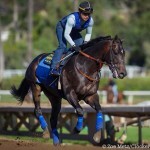 Mor Spirit is trained by Bob Baffert, owned by Michael Lund Petersen and bred by Elkstone Group, LLC. 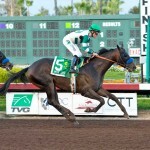 Mor Spirit earned his way into the Kentucky Derby by winning the Robert B. Lewis Stakes and the Los Alamitos Futurity. 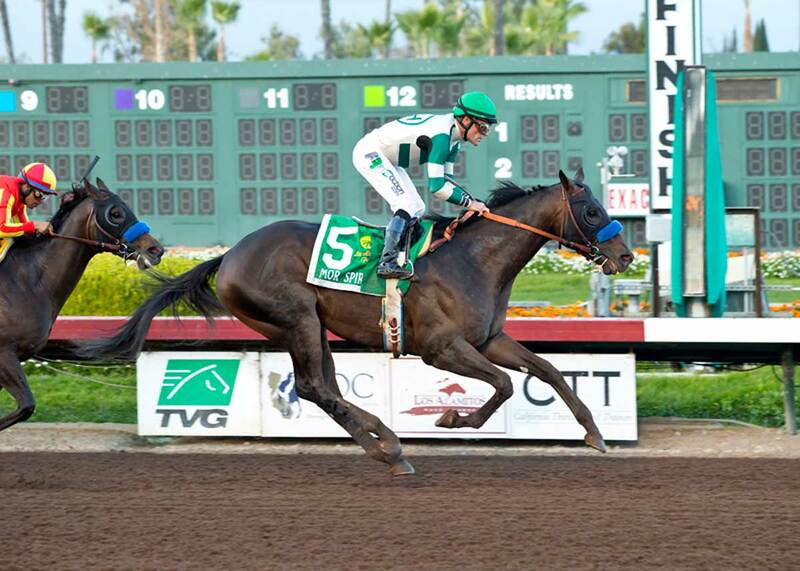 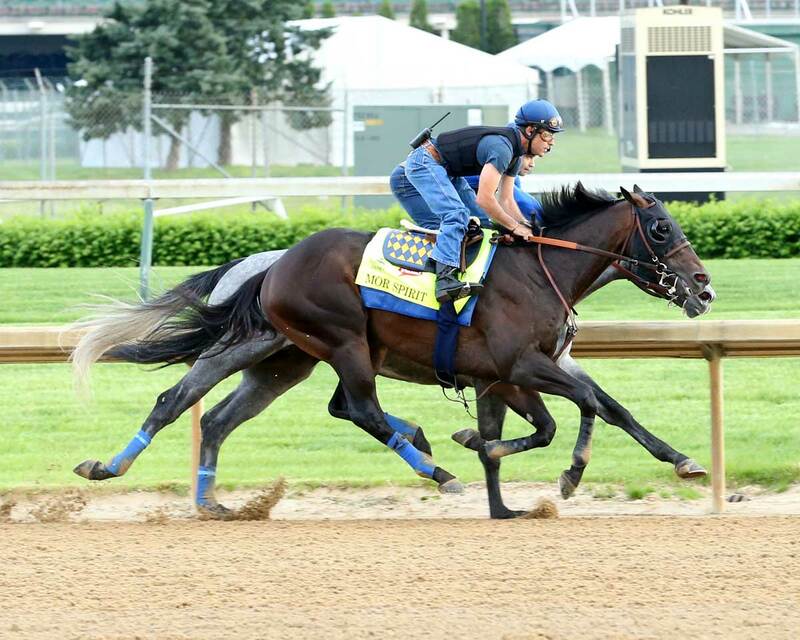 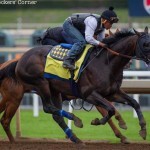 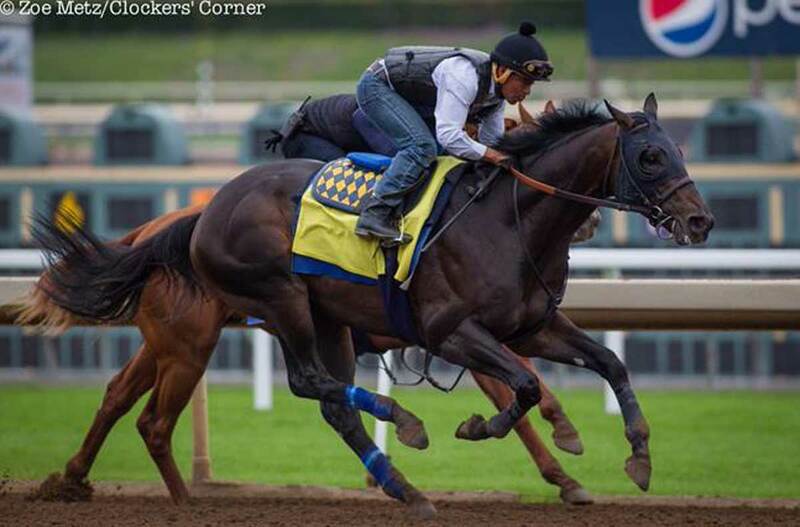 Additionally, Mor Spirit finished second in the Santa Anita Derby, San Felipe Stakes and Kentucky Jockey Club Stakes. 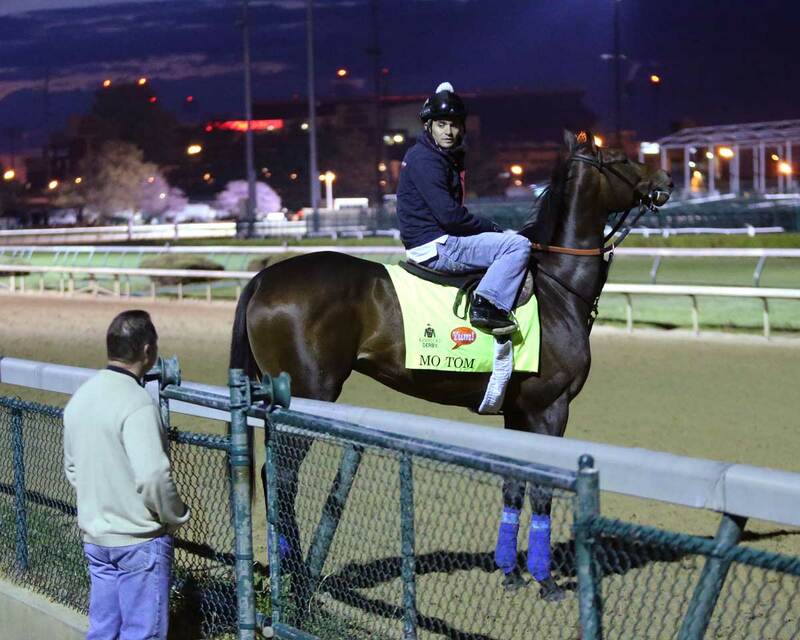 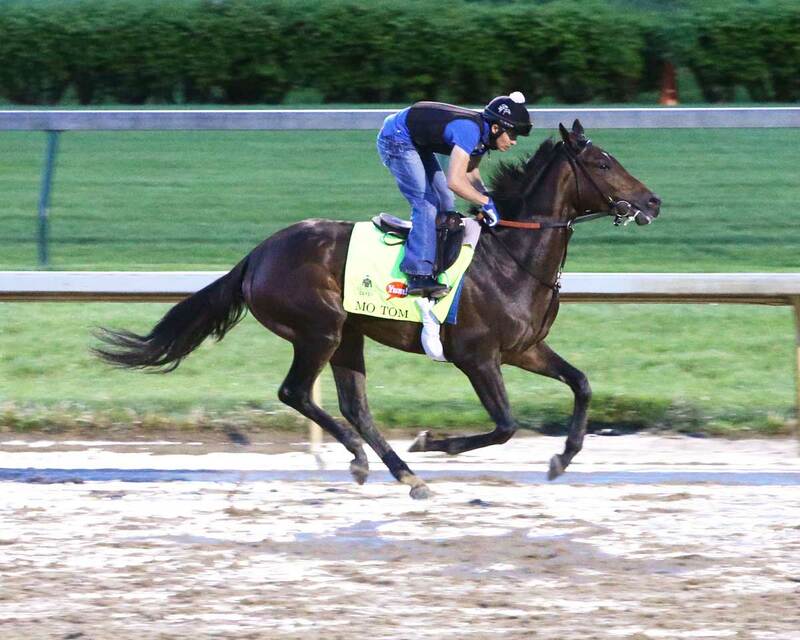 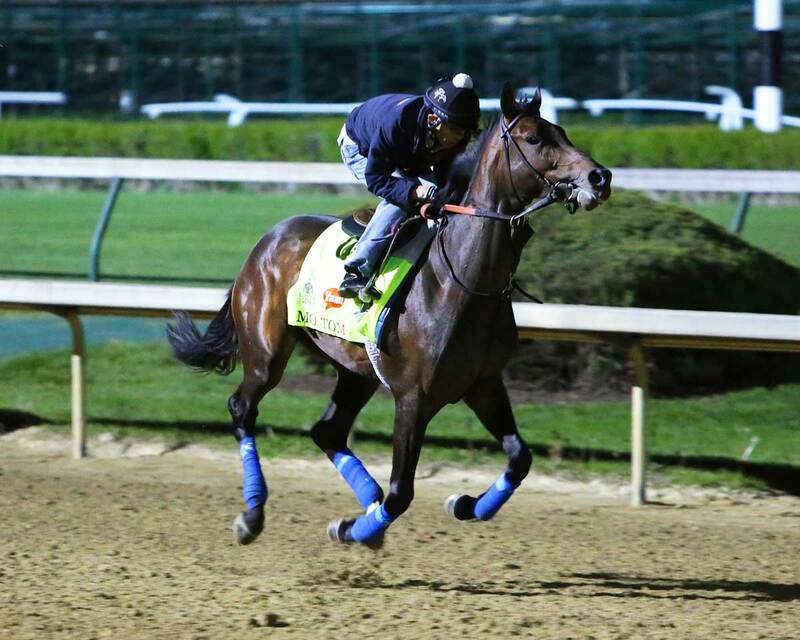 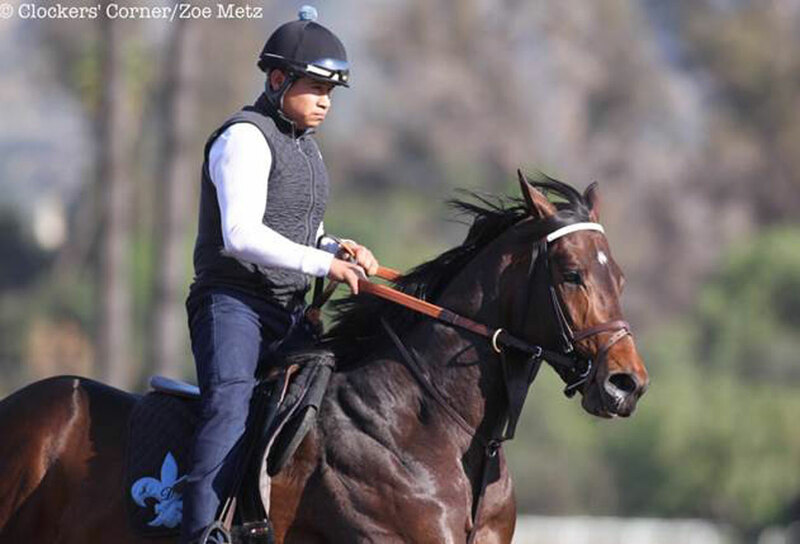 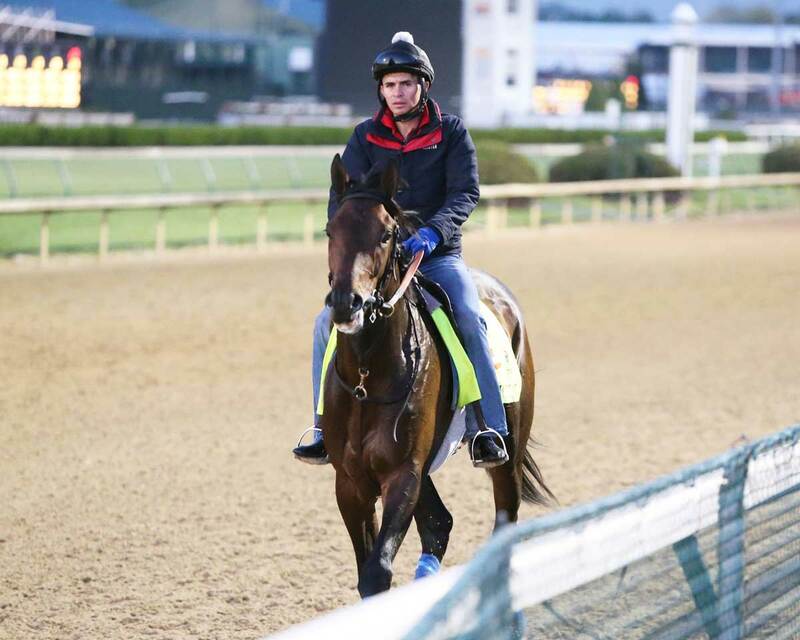 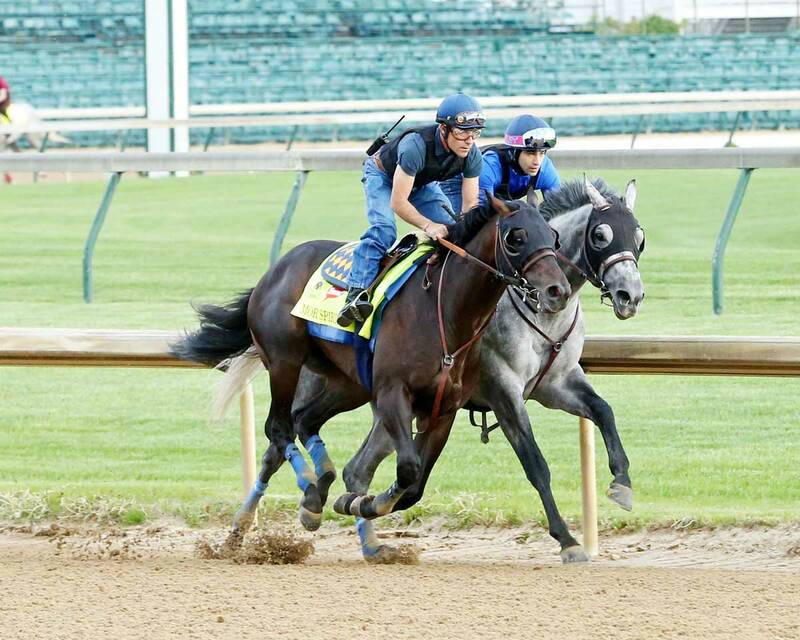 Mor Spirit teams up with jockey Gary Stevens for the 2016 Kentucky Derby. 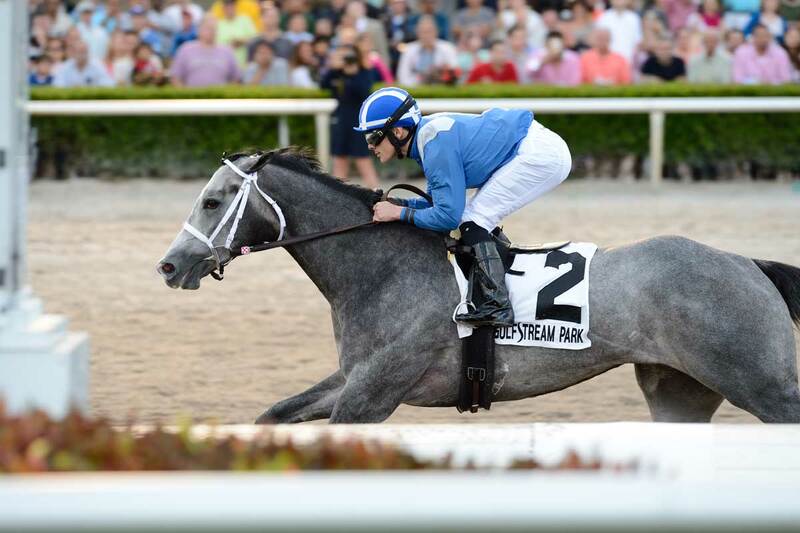 Mohaymen is trained by Kiaran P. McLaughlin, owned by Shadwell Stable and bred by Clearsky Farms. 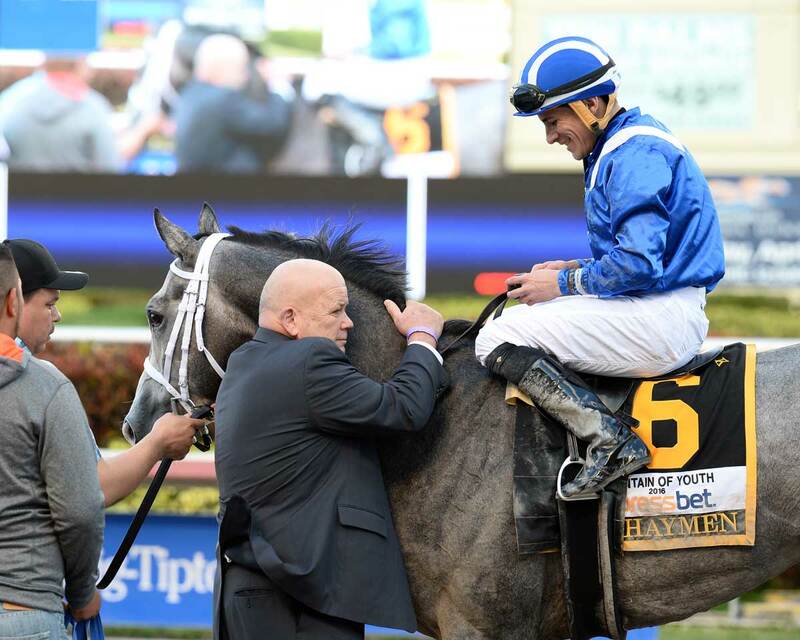 Mohaymen earned his way into the Churchill Downs starting gate by winning the Remsen Stakes, Holy Bull Stakes and Fountain of Youth Stakes. 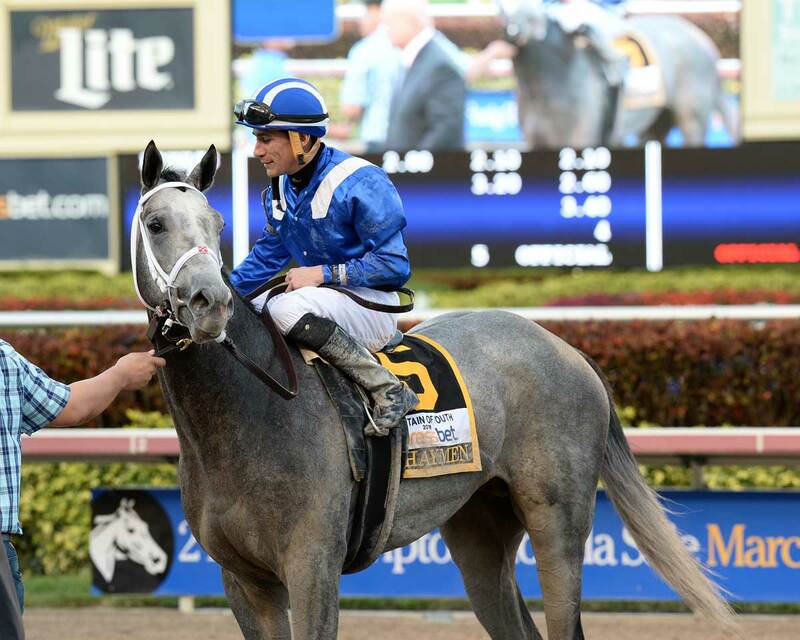 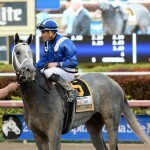 Mohaymen also finished fourth in the Florida Derby. 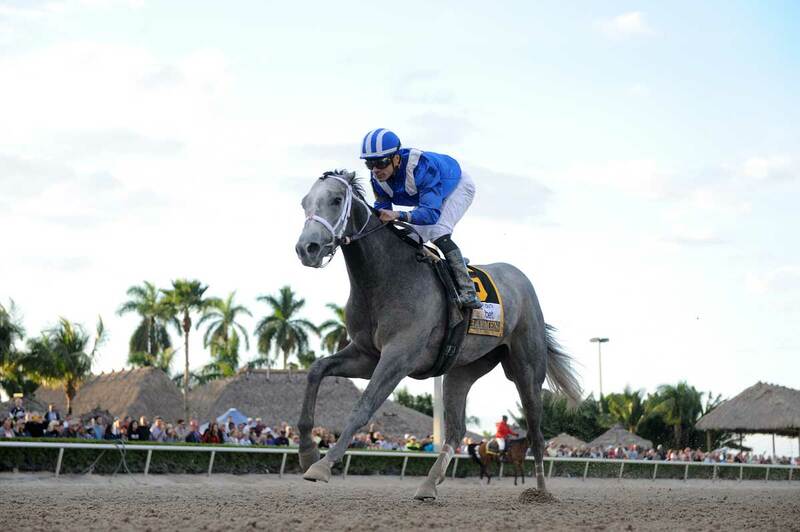 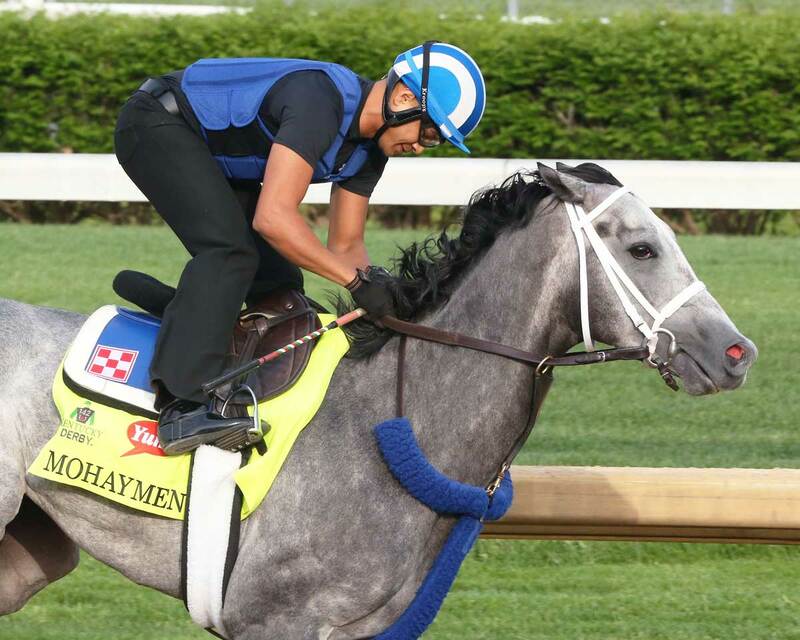 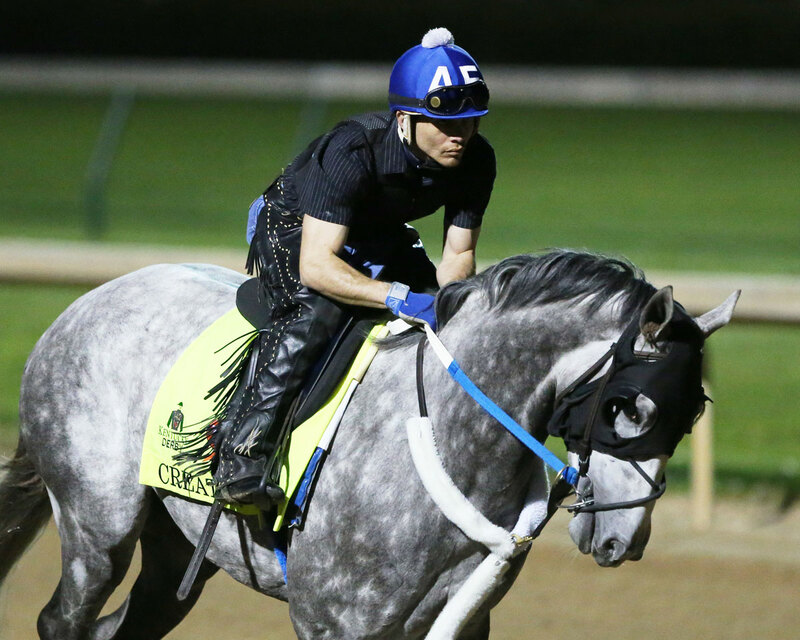 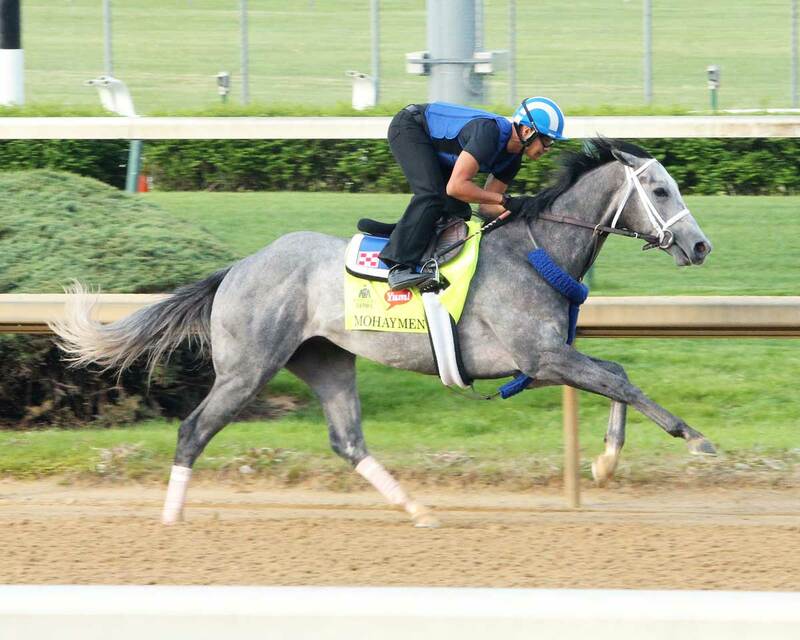 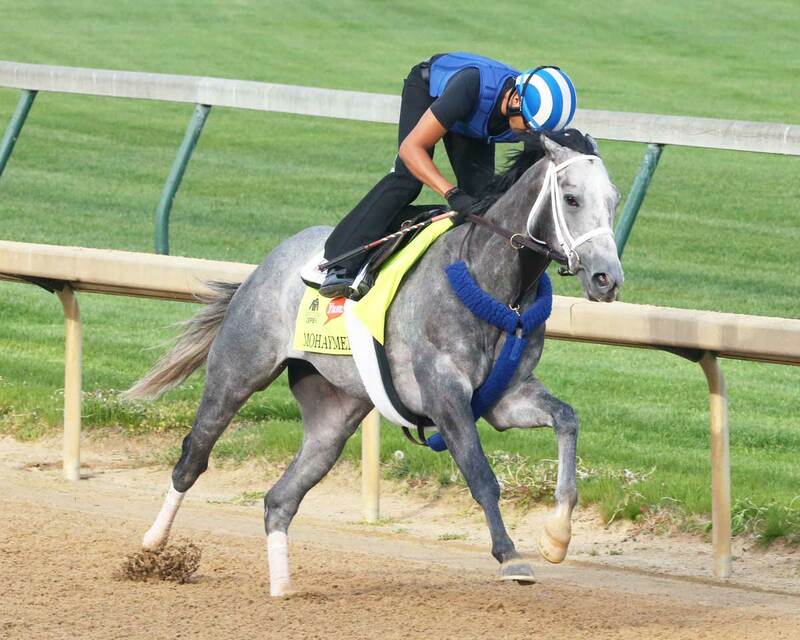 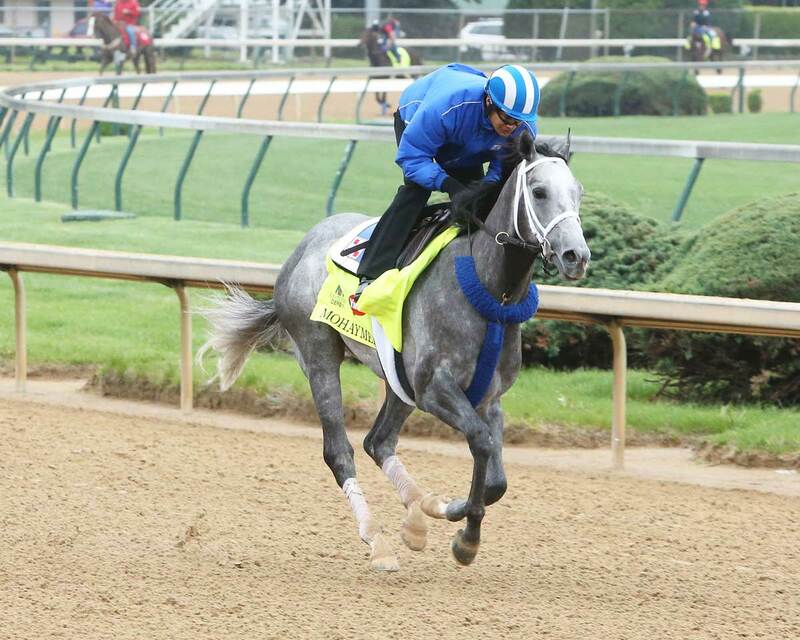 Mohaymen teams up with jockey Junior Alvarado for the 2016 Kentucky Derby. 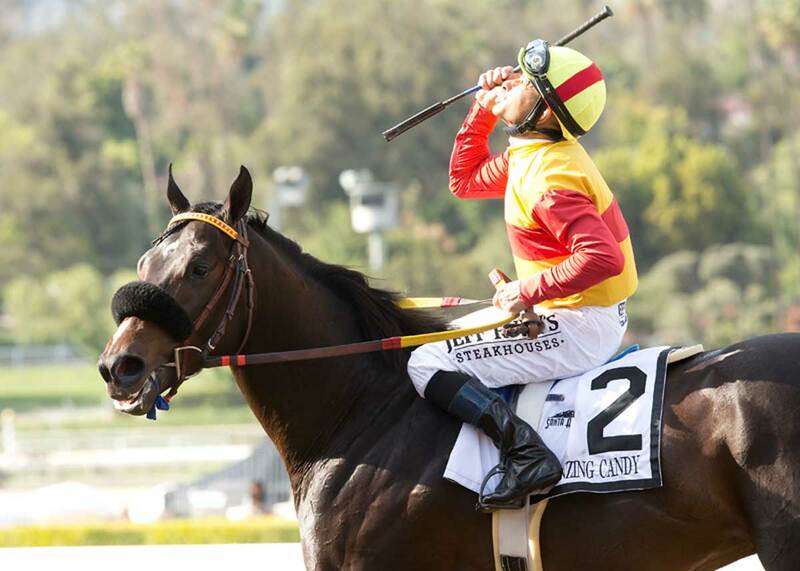 Danzing Candy is trained by Clifford W. Sise, Jr., owned by Halo Farms, Bashor, Jim and Bashor, Diane and bred by Halo Farms. 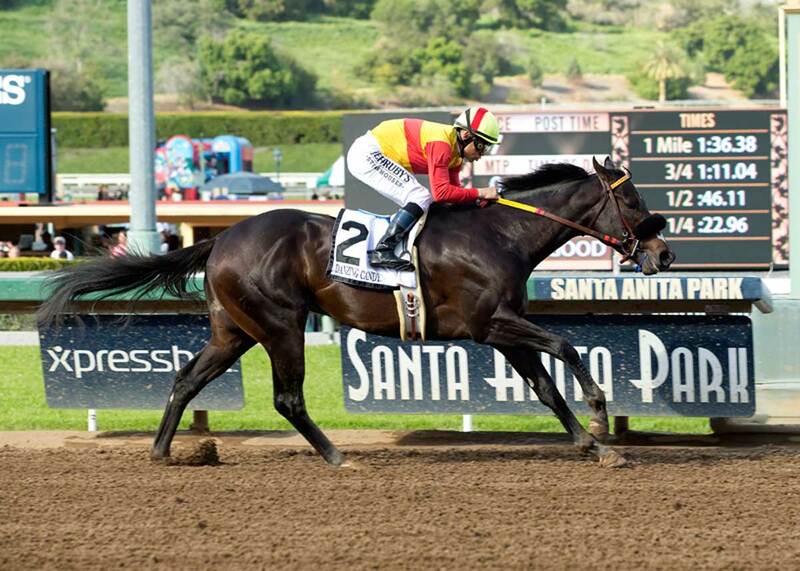 Danzing Candy earned his way into the 2016 Kentucky Derby by winning the San Felipe Stakes and finishing fourth in the Santa Anita Derby. 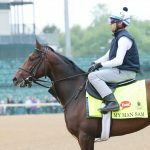 Danzing Candy teams up with jockey Mike Smith for Kentucky Derby 142. 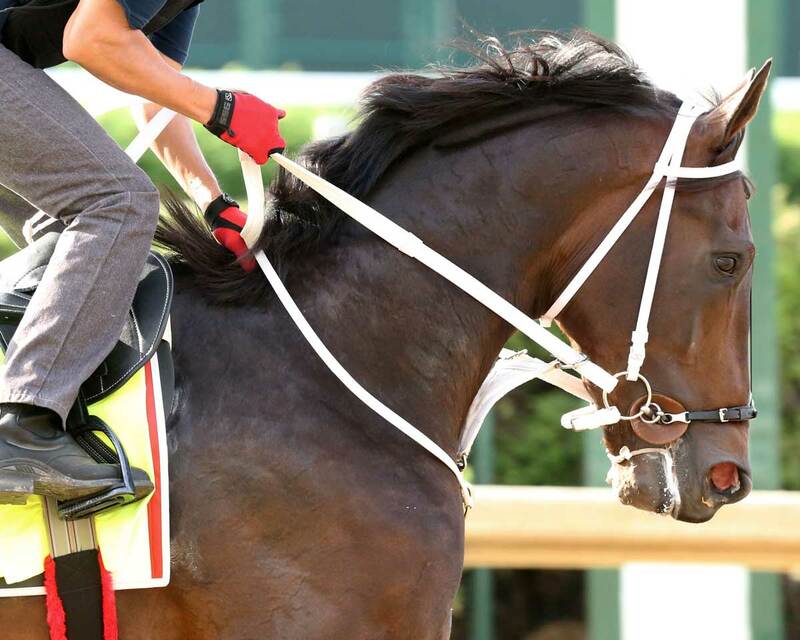 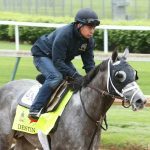 Destin is trained by Todd Pletcher, owned by Twin Creeks Racing Stables, LLC and bred by James C. Weigel & Taylor Made Stallions Inc. Destin won the Tampa Bay Derby and finished fourth in the LeComte Stakes. 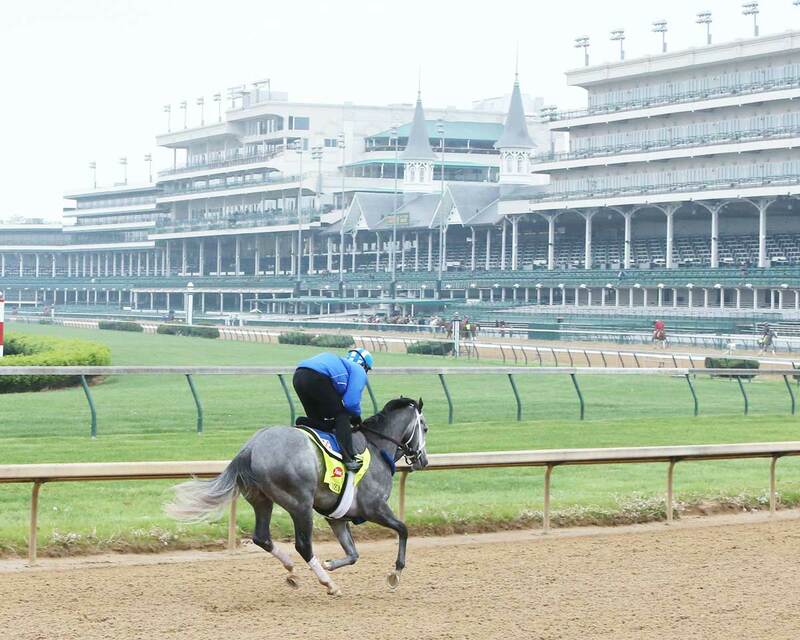 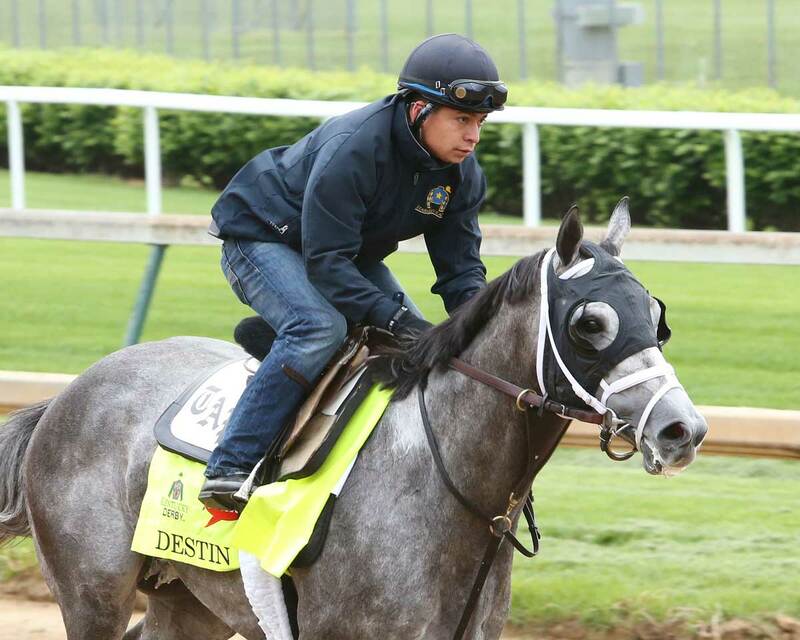 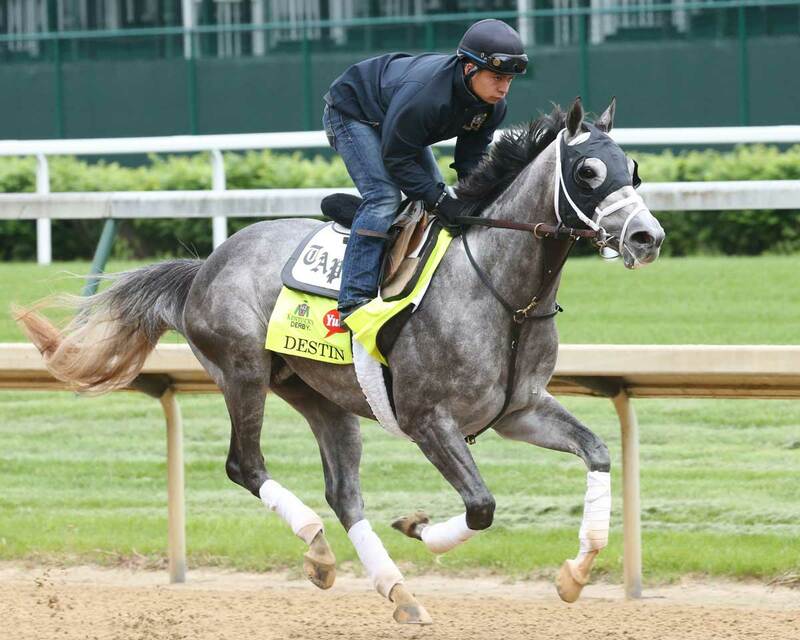 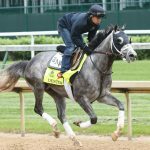 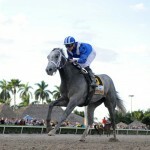 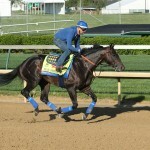 Destin pairs up with jockey Javier Castellano for the 2016 Kentucky Derby. 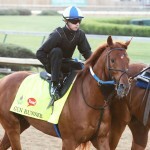 Suddenbreakingnews is trained by Donnie K. Von Hemel, owned by Samuel F. Henderson and bred by Branch Equine, LLC. 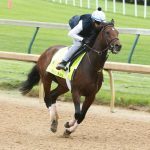 Suddenbreakingnews earned his way into the Kentucky Derby by winning the Southwest Stakes and finishing second in the Arkansas Derby. 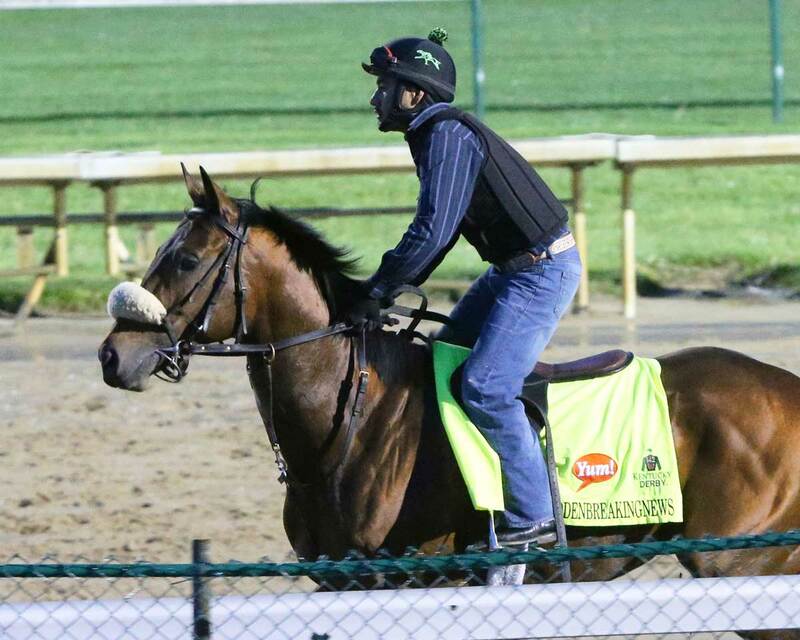 Suddenbreakingnews teams up with Luis S. Quinonez for the 2016 Kentucky Derby. 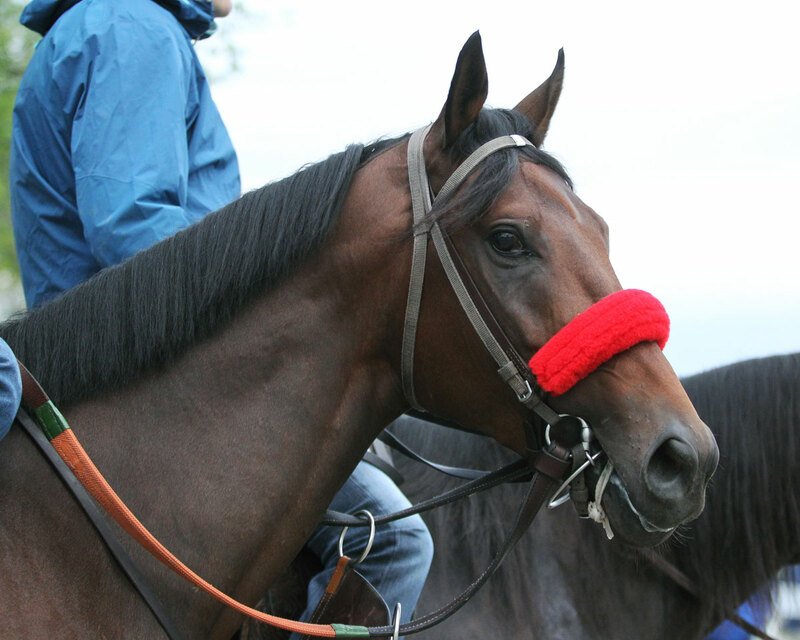 Oscar Nominated is trained by Michael J. 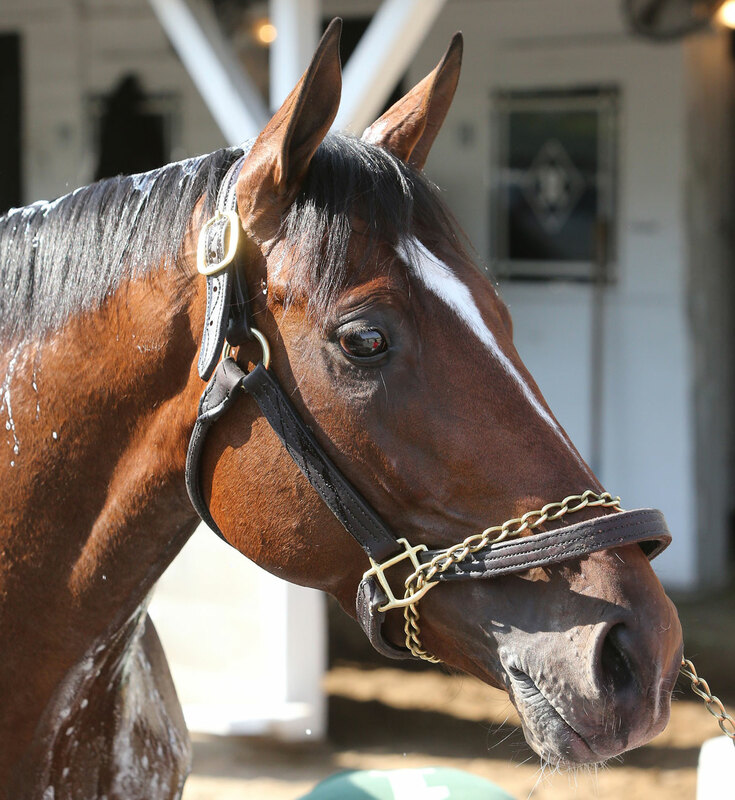 Maker, owned by Kenneth L. and Sarah K. Ramsey and bred by Mrs. Jerry Amerman. 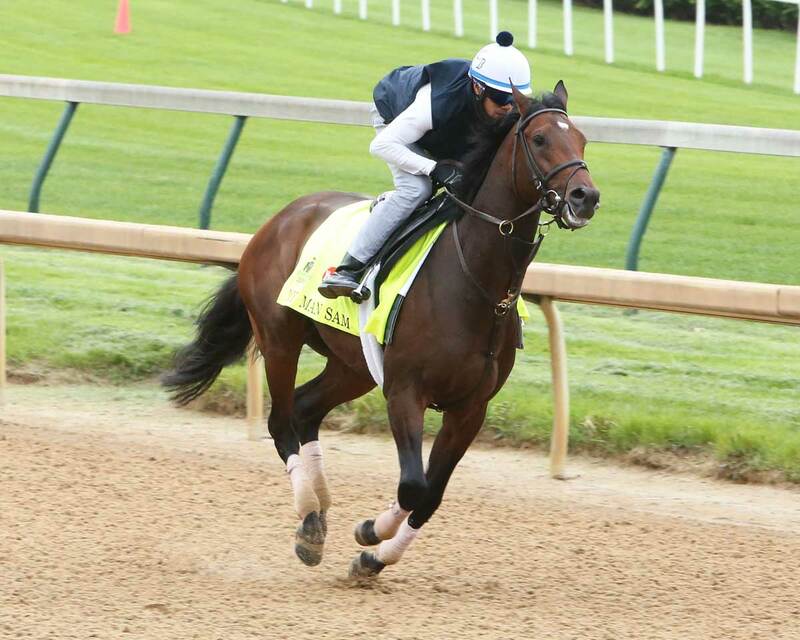 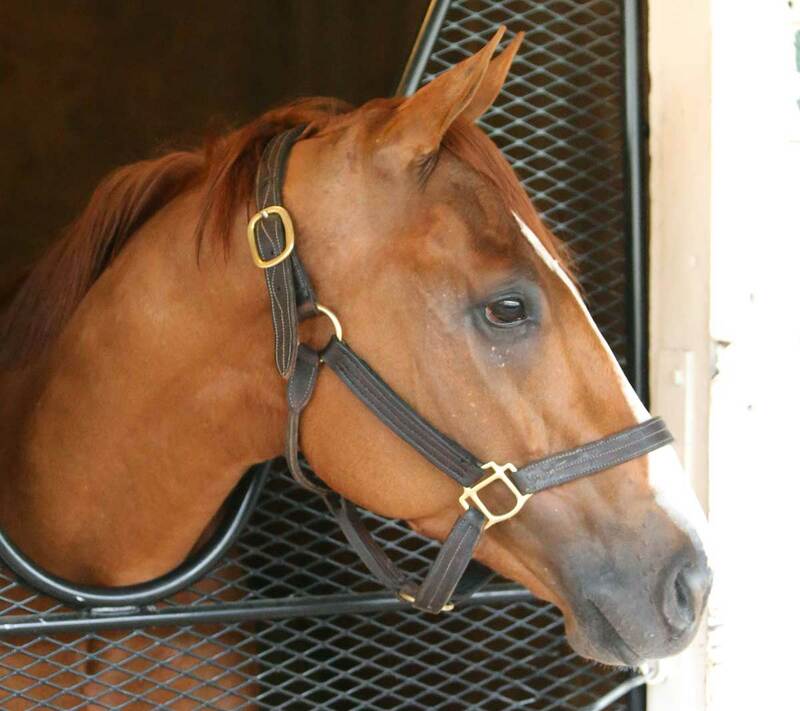 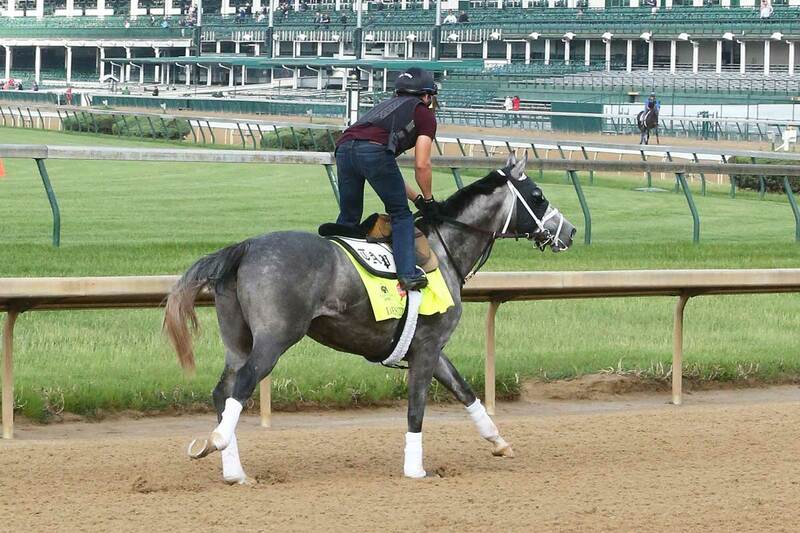 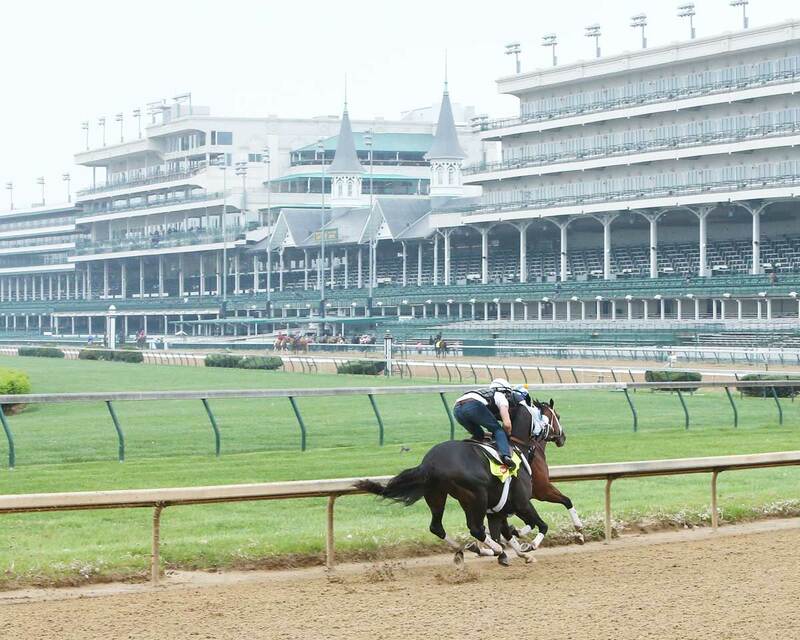 Oscar Nominated earned his way into the Kentucky Derby by winning the Horseshoe Casino Cincinnati Spiral Stakes. 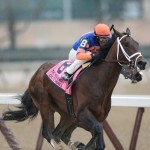 Oscar Nominated teams up with jockey Robby Albarado for the 142nd Running of the Kentucky Derby. 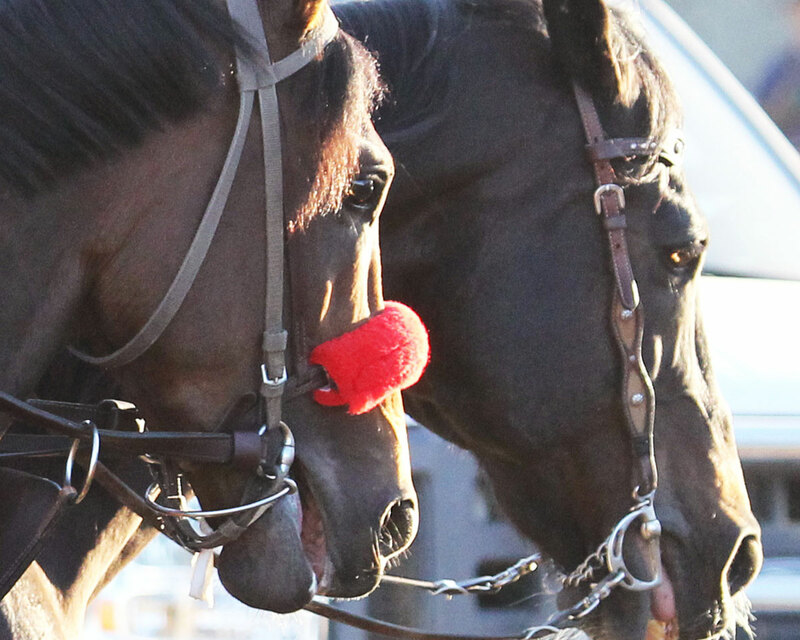 *Photos unavailable. 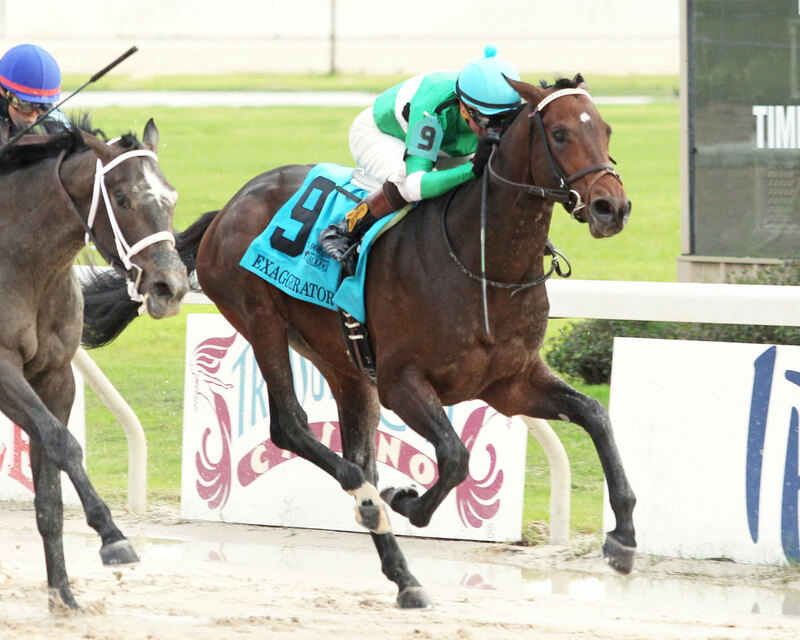 Shagaf is trained by Chad C. Brown, owned by Shadwell Stable and bred by Shadwell Farm, LLC. 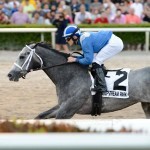 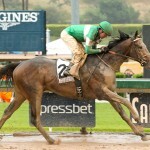 Shagaf finished first in the Gotham Stakes and fifth in the Wood Memorial Stakes on the Derby Trail. 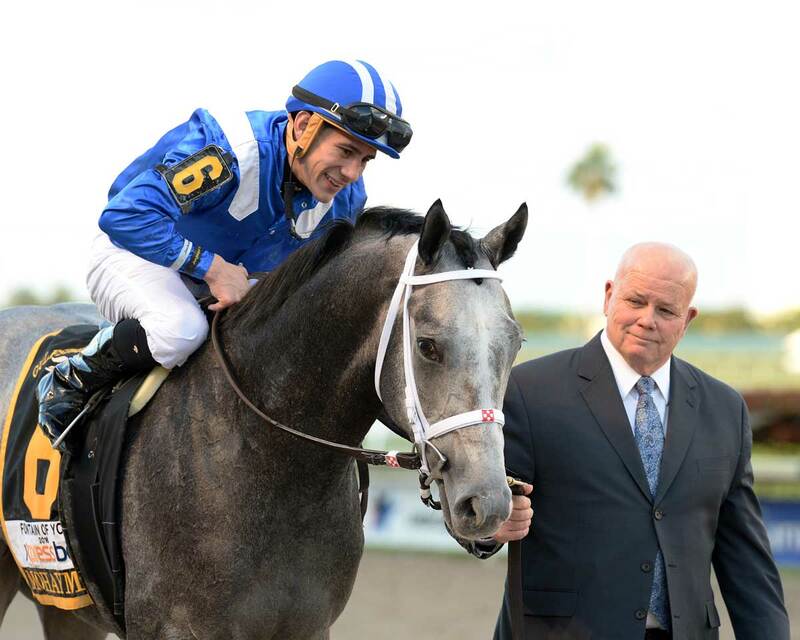 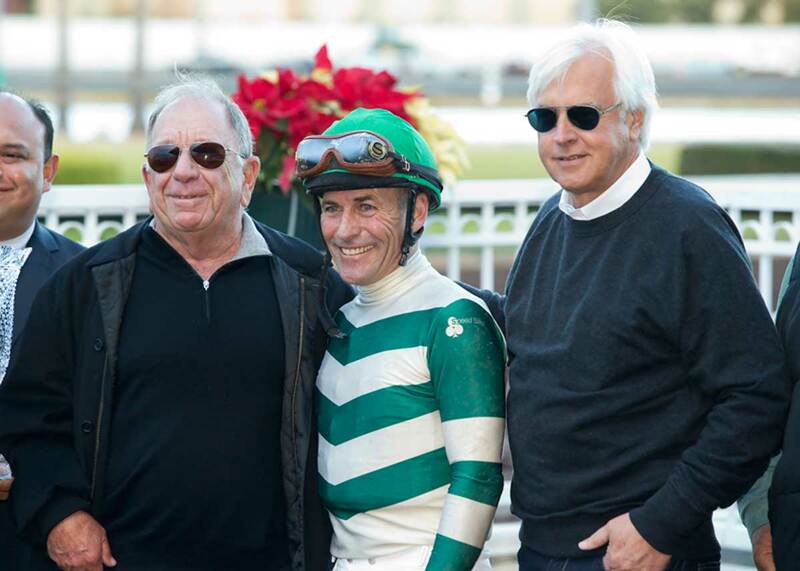 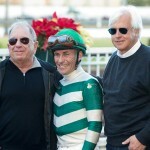 Shagaf teams up with jockey Irad Ortiz, Jr. for the 2016 Kentucky Derby. 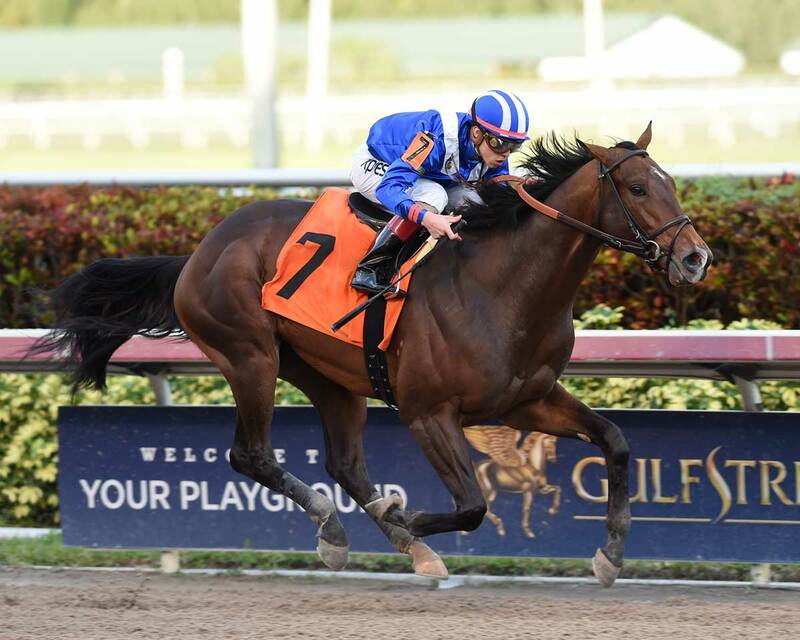 Whitmore is trained by Ron Moquett, owned by LaPenta, Robert V., Rosenblum, Harry T. and Southern Springs Stables and bred by John Liviakis. 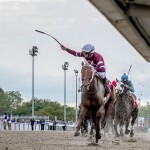 Whitmore finished second on the Rebel Stakes and the Southwest Stakes. 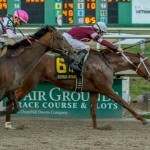 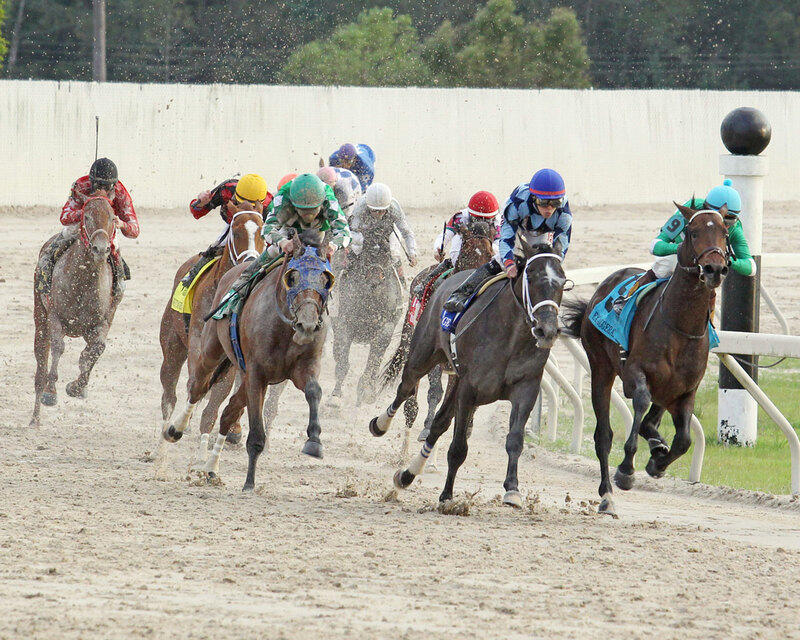 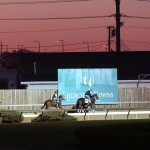 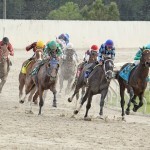 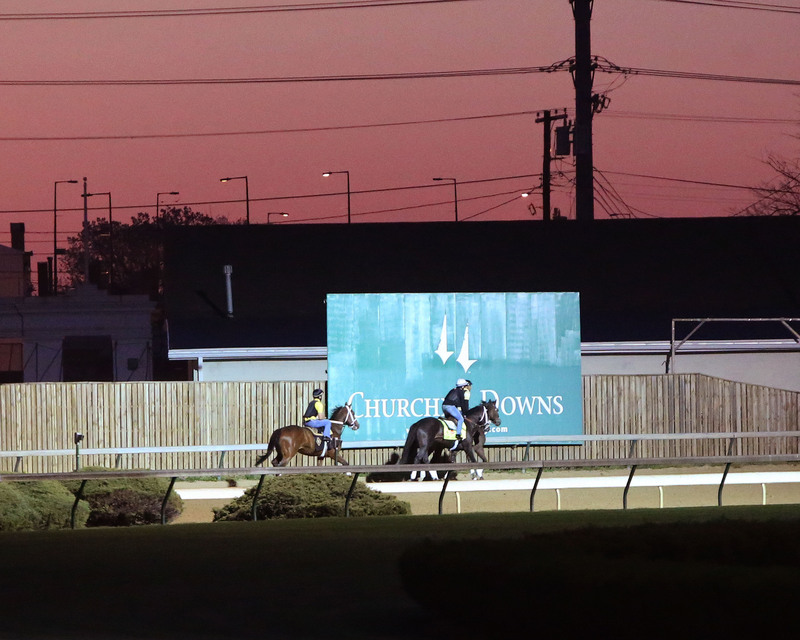 Additionally, Whitmore finished fifth in the Delta Downs Jackpot and third in the Arkansas Derby. 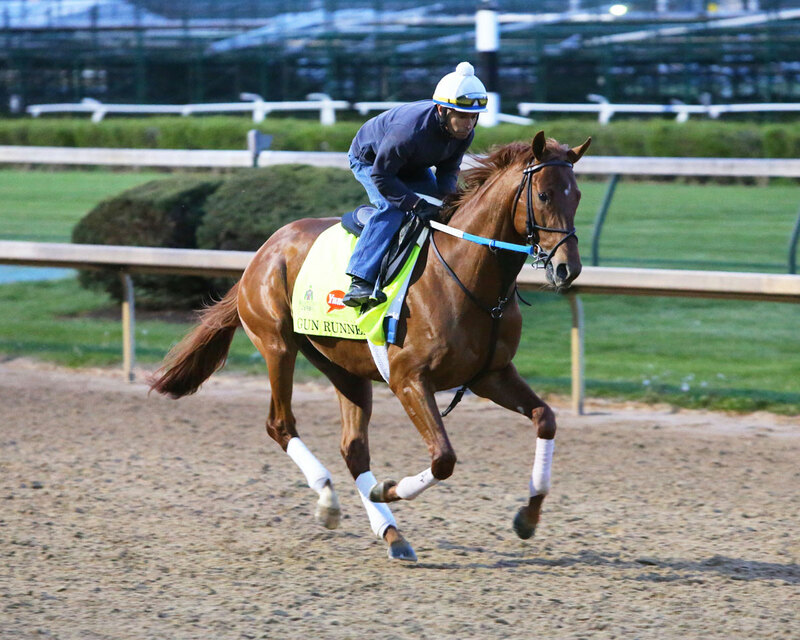 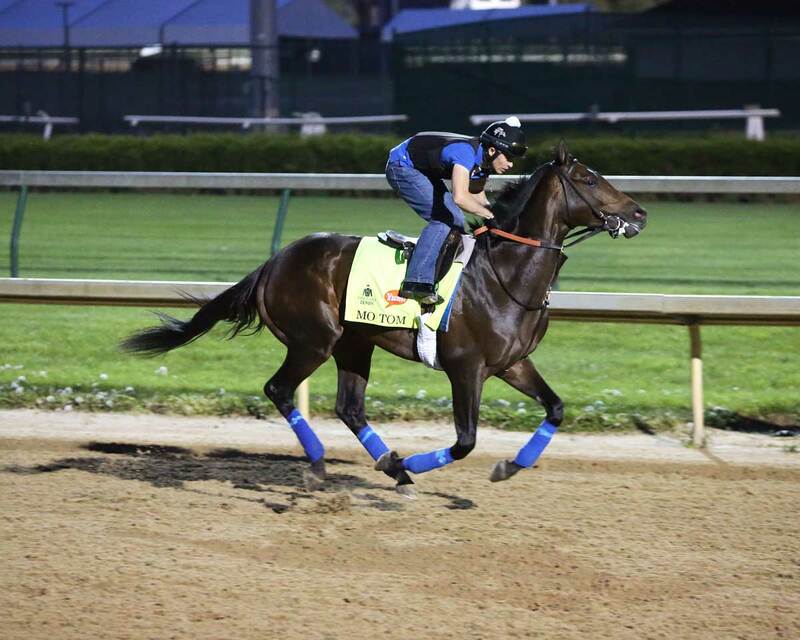 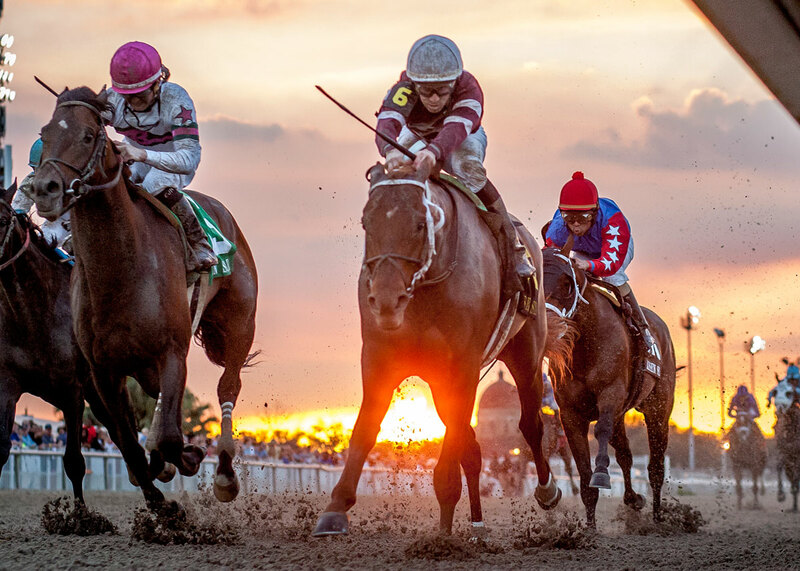 Whitmore teams up with jockey Victor Espinoza for the 2016 Kentucky Derby. 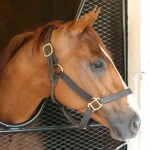 Read more about Whitmore. 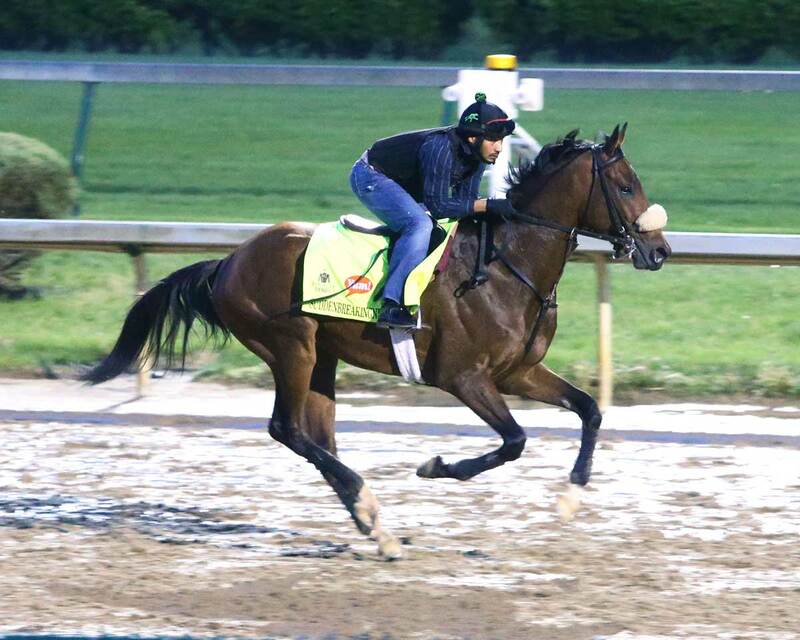 Tom’s Ready is trained by Dallas Stewart, owned by GMB Racing and bred by Blackstone Farm, LLC. 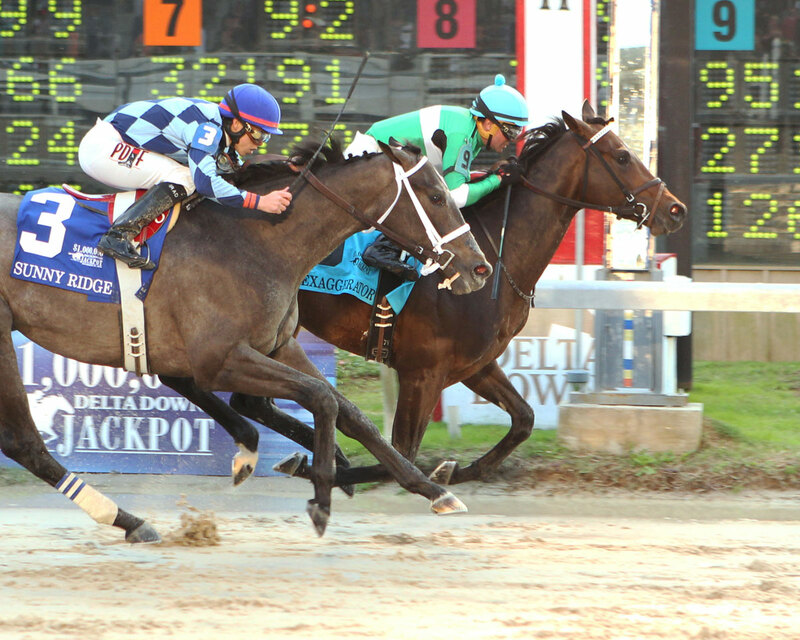 Tom’s Ready finished second in the LeComte Stakes and the Louisiana Derby. 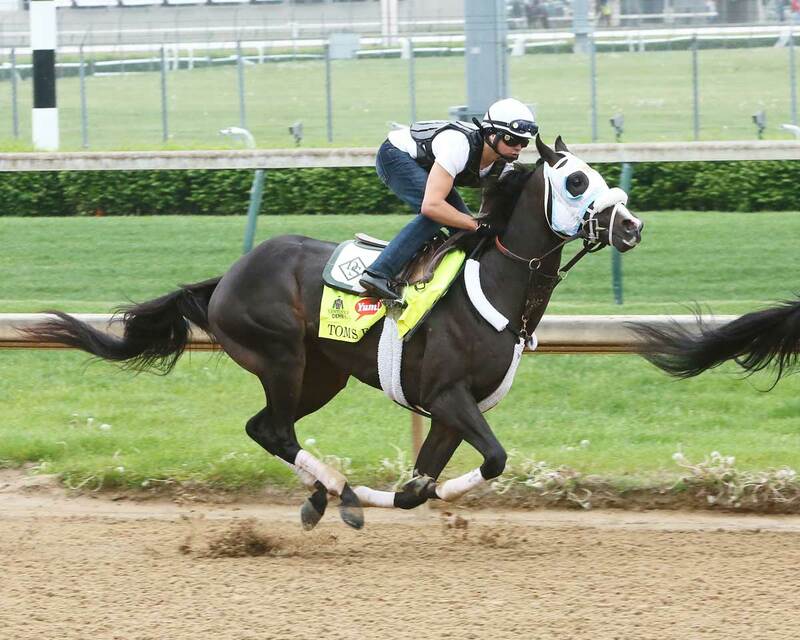 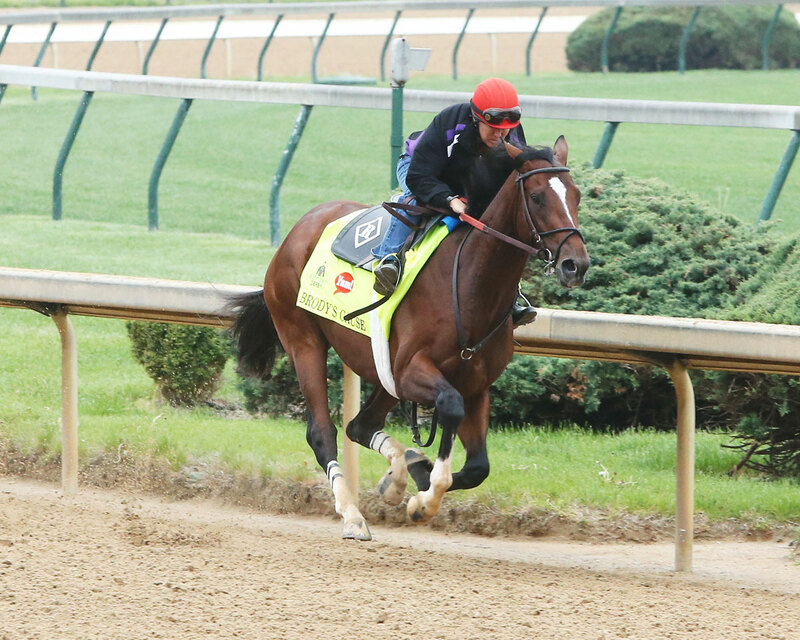 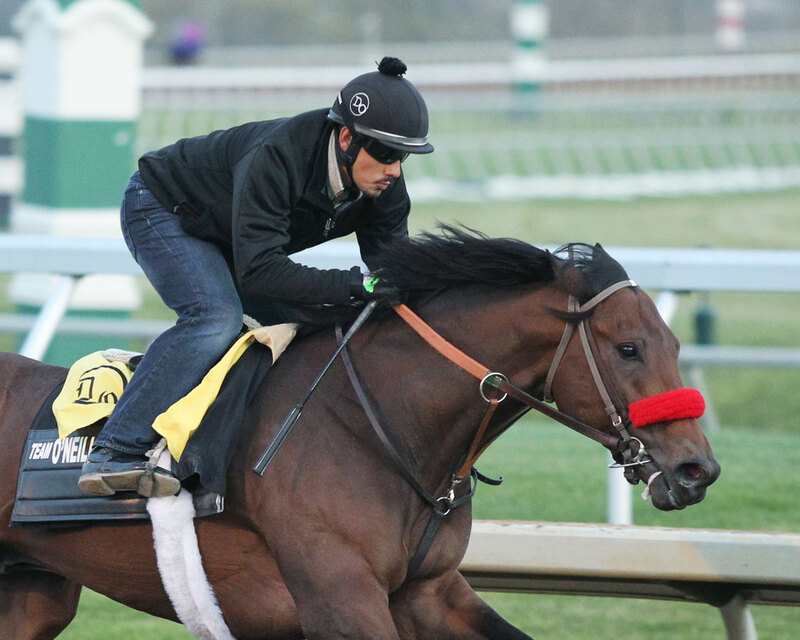 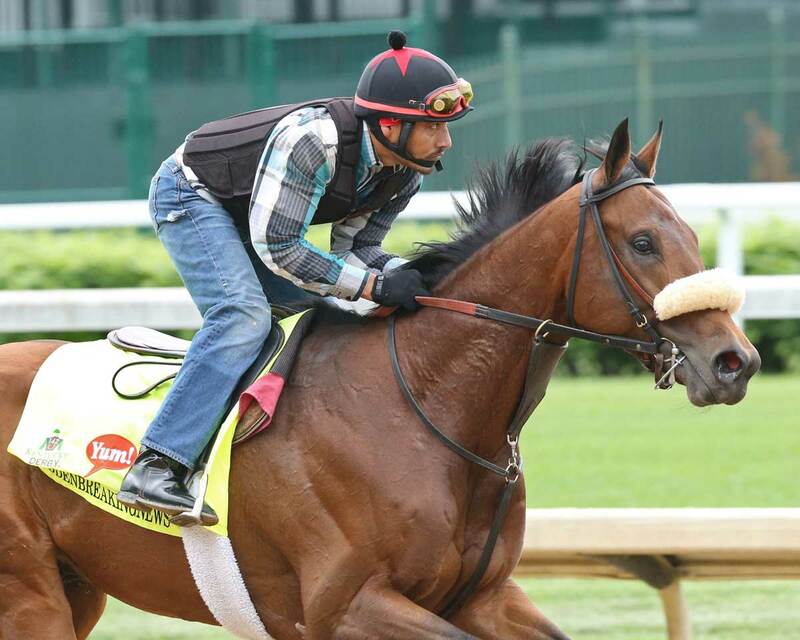 Tom’s Ready pairs up with jockey Brian Joseph Hernandez, Jr. for the 2016 Kentucky Derby. 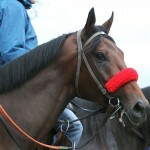 My Man Sam is trained by Chad C. Brown, owned by Sheep Pond Partners and bred by Jay W Bligh. 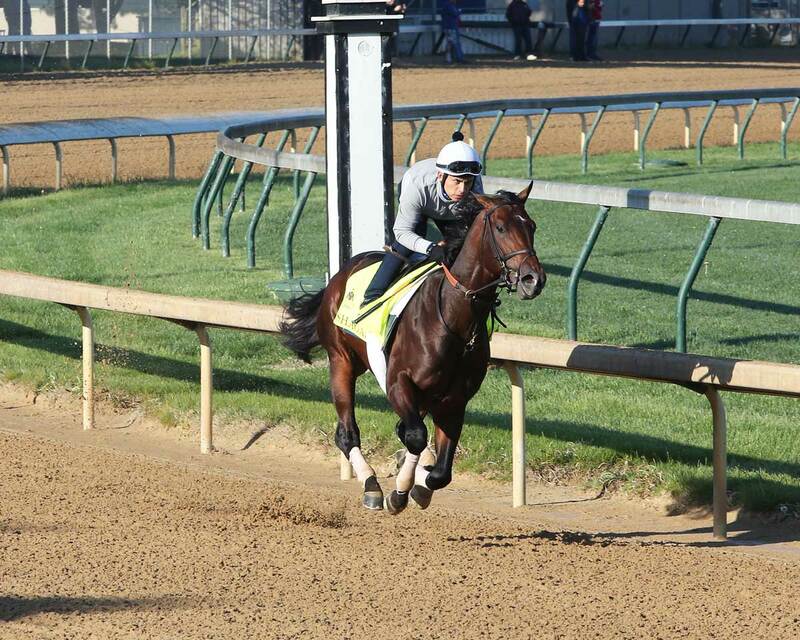 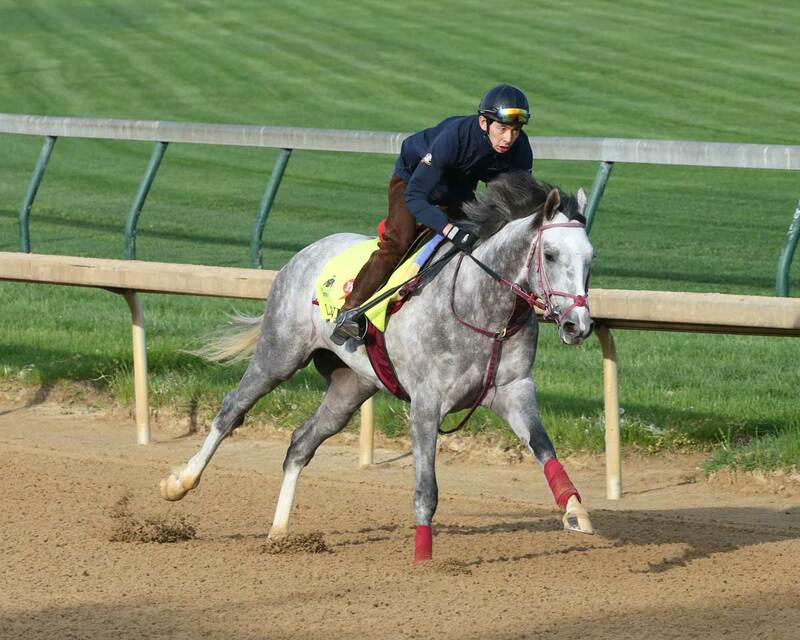 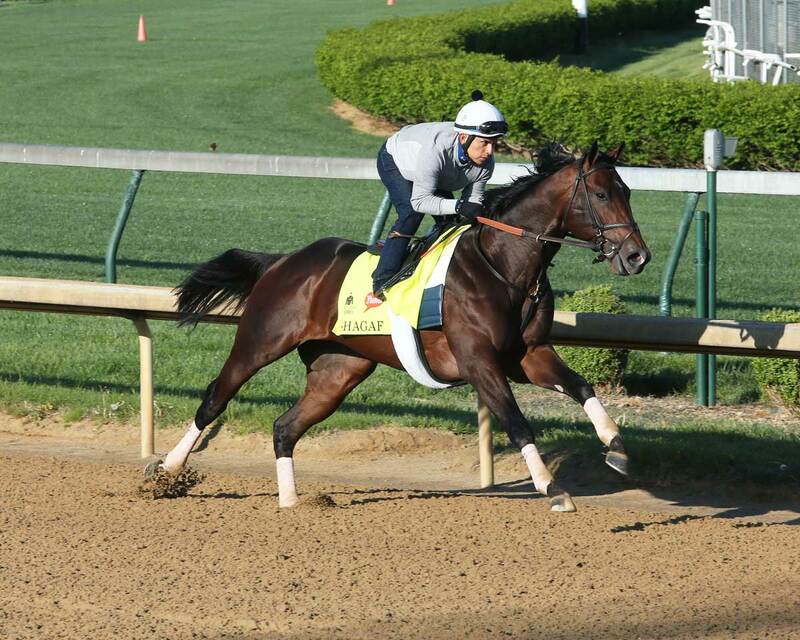 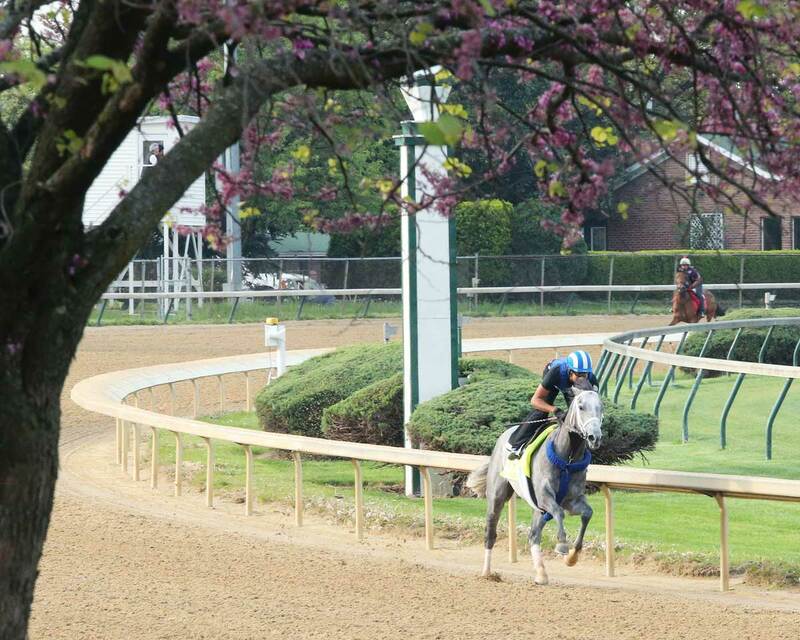 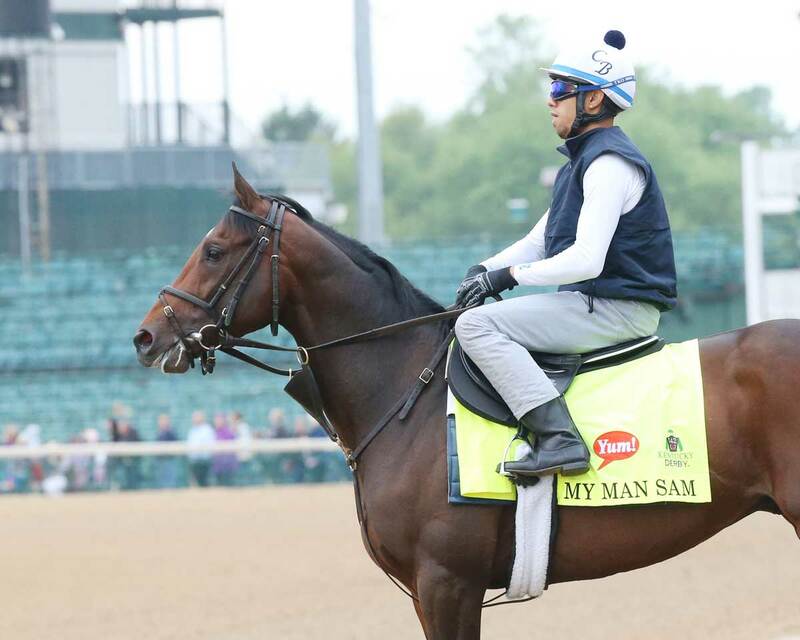 My Man Sam earned his way into the Kentucky Derby by crossing the Toyota Blue Grass Stakes in second place. 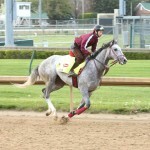 My Man Sam teams up with jockey Julien R. Leparoux for the 142nd Run for the Roses. 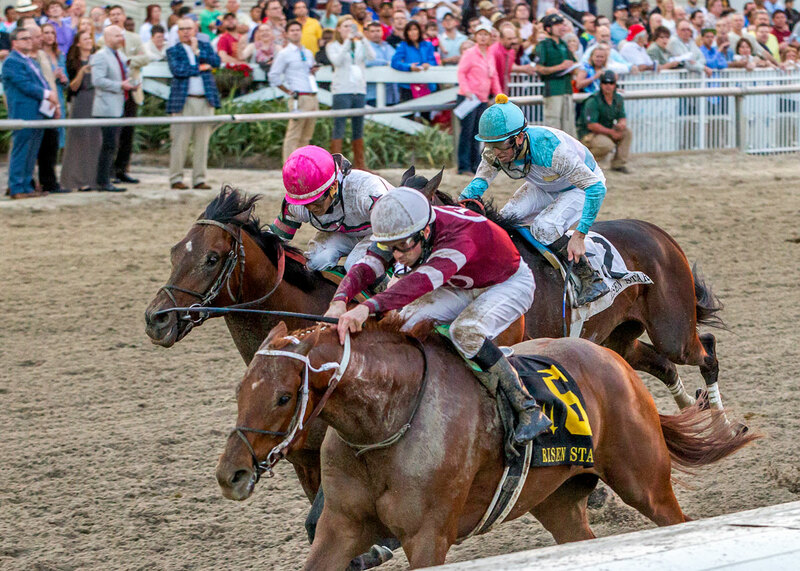 Majesto is trained by Gustavo Delgado, owned by Grupo 7C Racing Stable and bred by Diamond A Racing Corp. Majesto earned a spot on the Kentucky Derby leaderboard by finishing second in the Florida Derby. 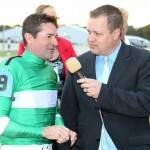 Jockey to be announced. 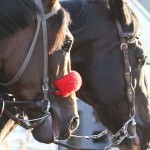 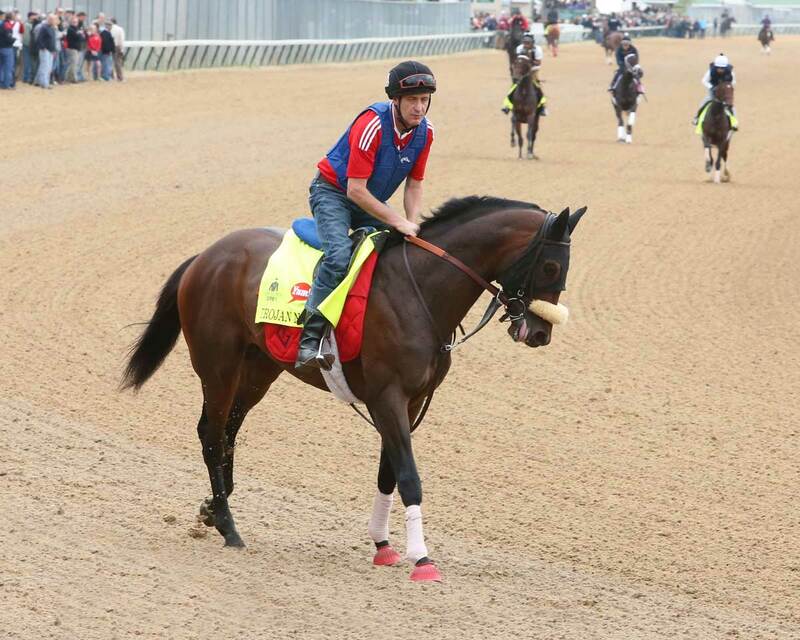 Trojan Nation is trained by Patrick Gallagher, owned by Gilbert, Julie and Sones, Aaron and bred by Dr. Aaron Sones. 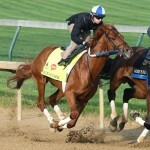 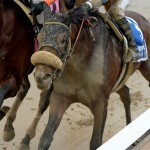 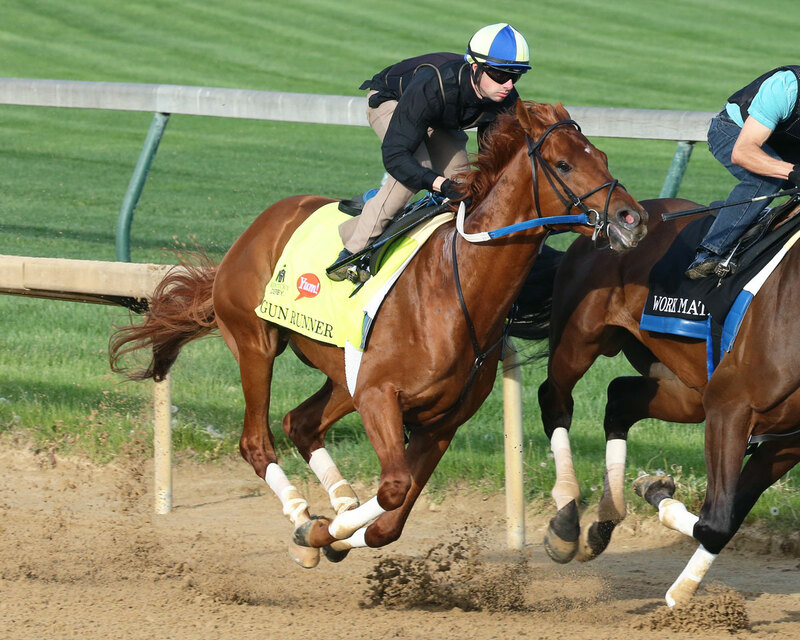 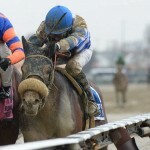 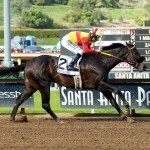 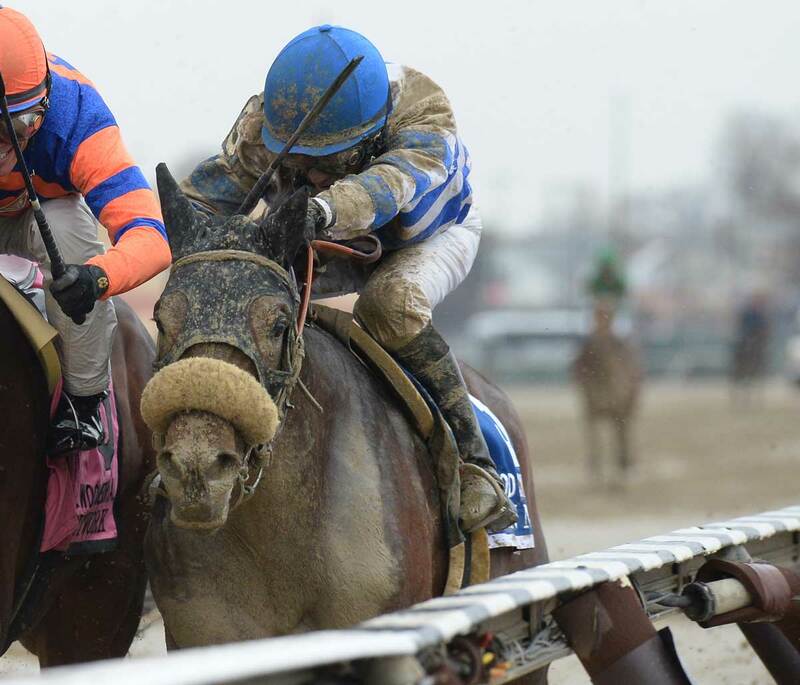 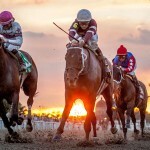 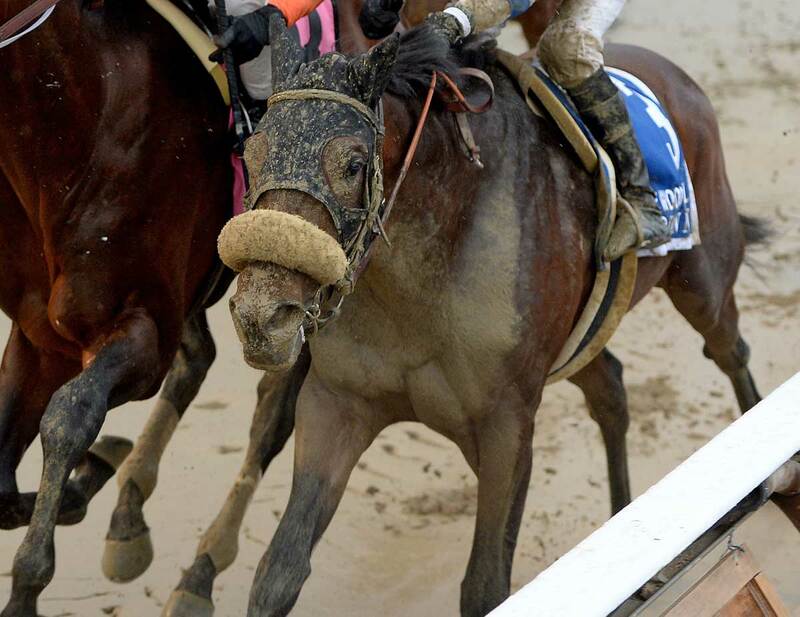 Trojan Nation earned his way into the Kentucky Derby by finishing second in the Wood Memorial Stakes. 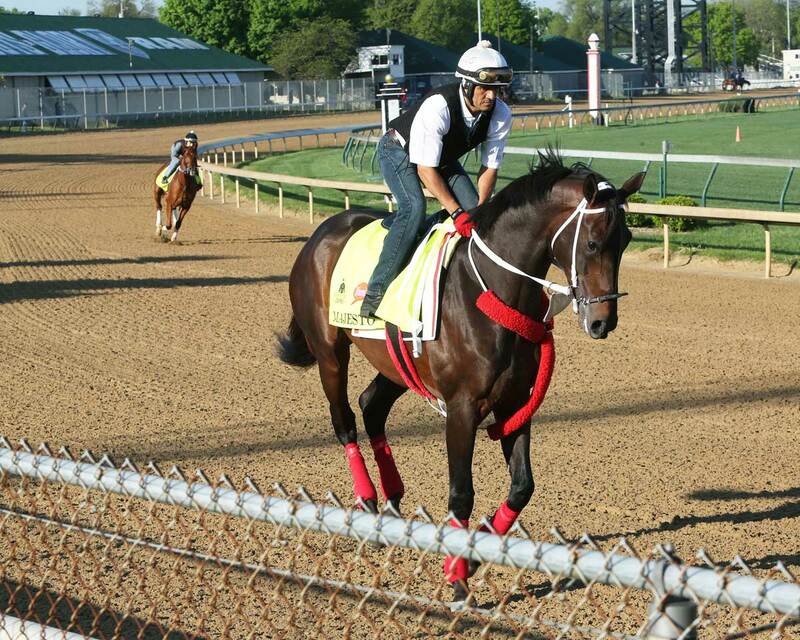 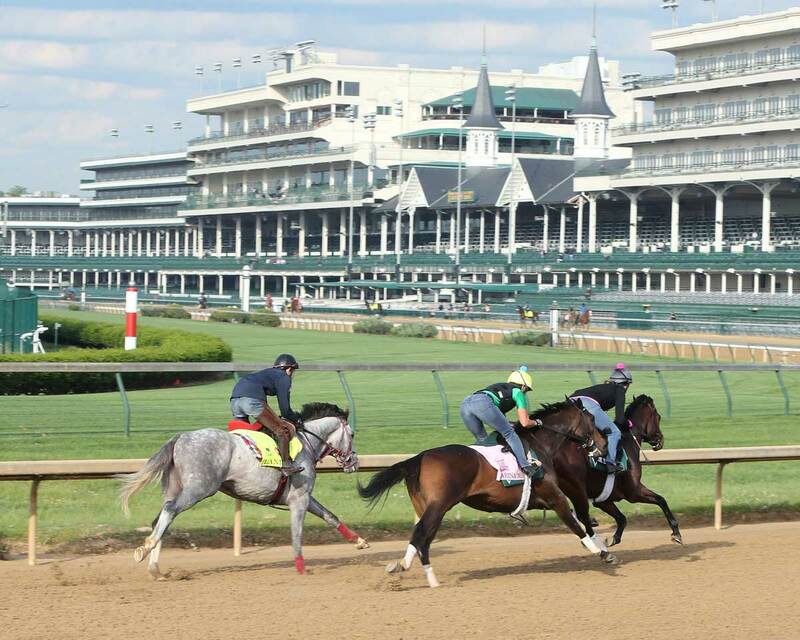 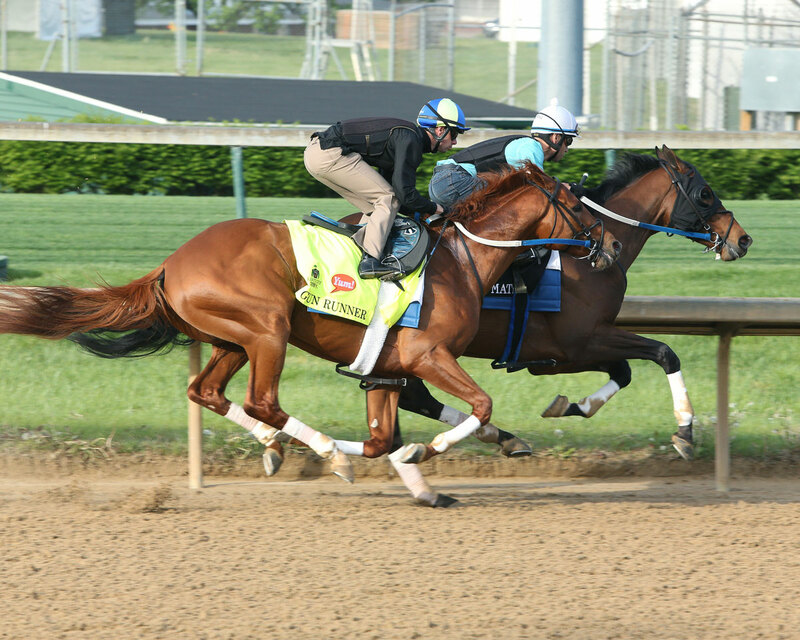 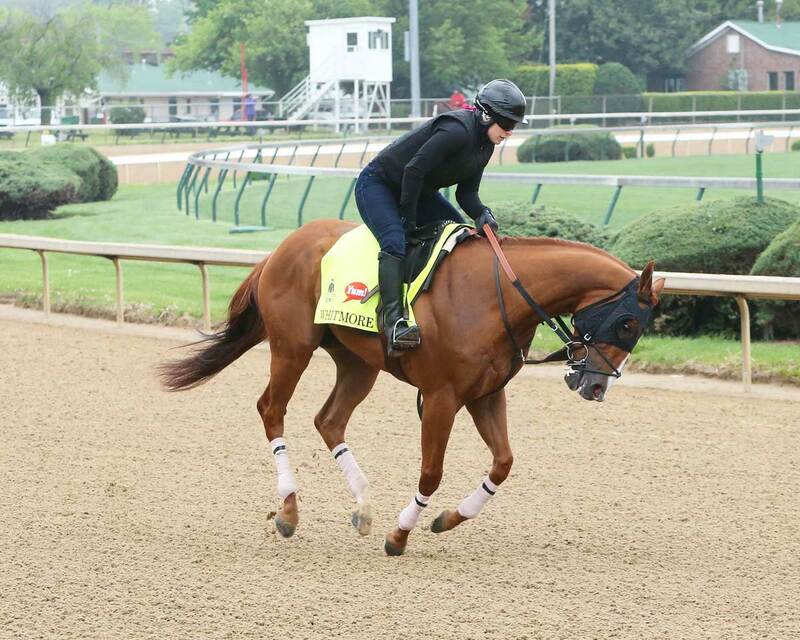 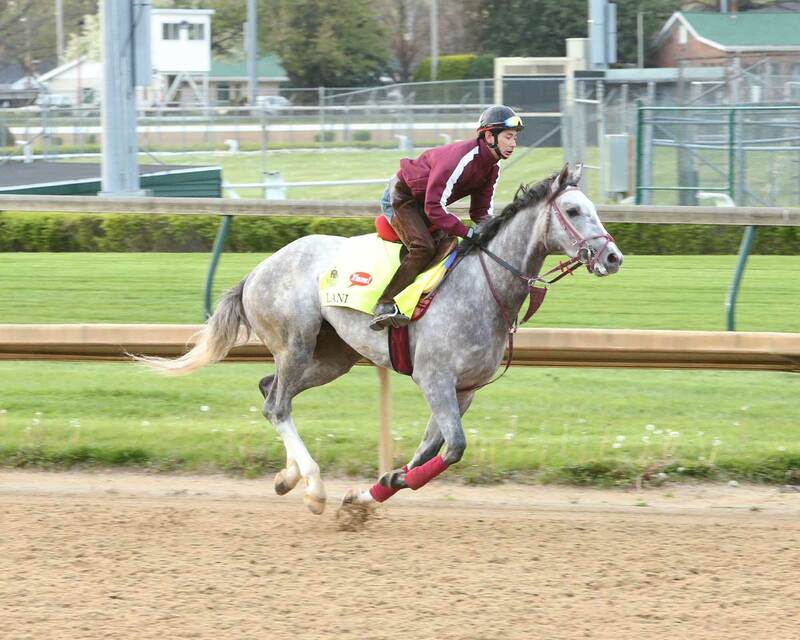 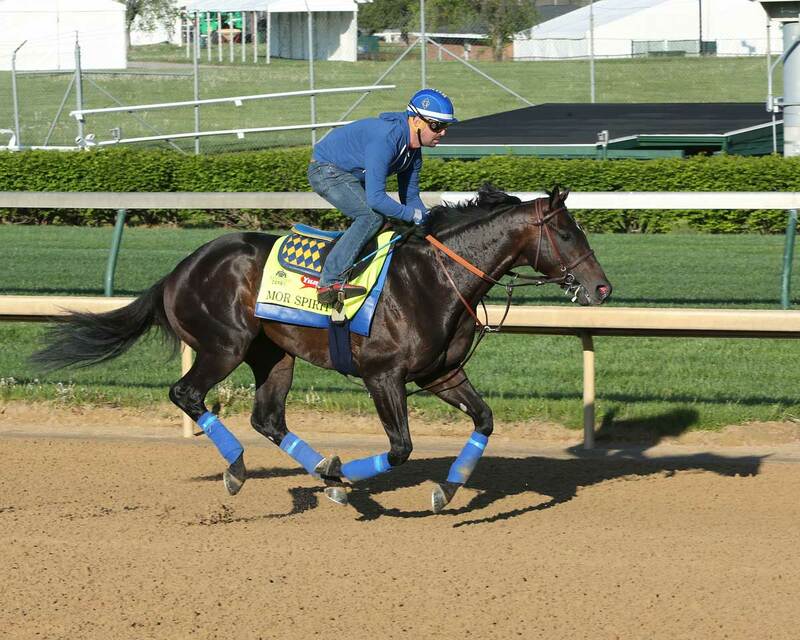 Trojan Nation teams up with jockey Aaron T. Gryder for the 2016 Kentucky Derby. 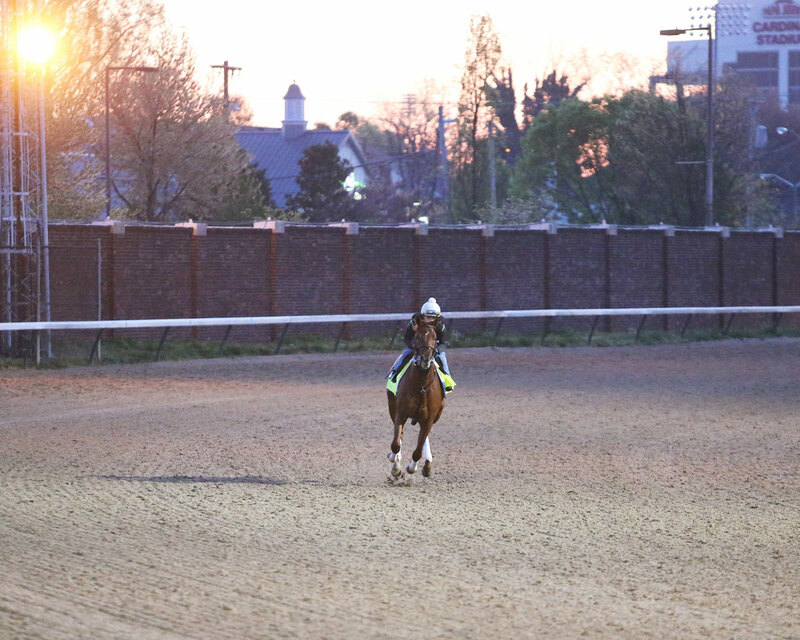 Read more about Trojan Nation. 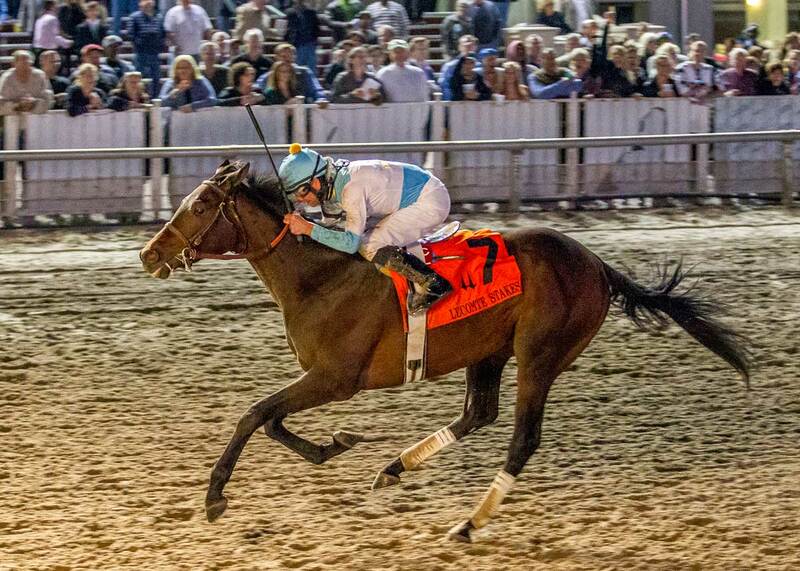 Mo Tom is trained by Thomas M. Amoss, owned by GMB Racing and bred by Hargus & Sandra Sexton & Silver Farm. 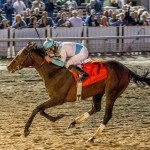 Mo Tom earned his way into the 2016 Kentucky Derby by winning the LeComte Stakes and finishing third in the Kentucky Jockey Club Stakes and the Risen Star Stakes. 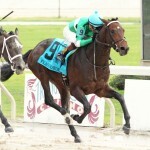 Additionally, Mo Tom finished fourth in the Louisiana Derby. 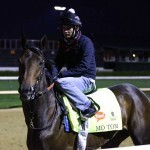 Mo Tom teams up with Corey Lanerie for Kentucky Derby 142. 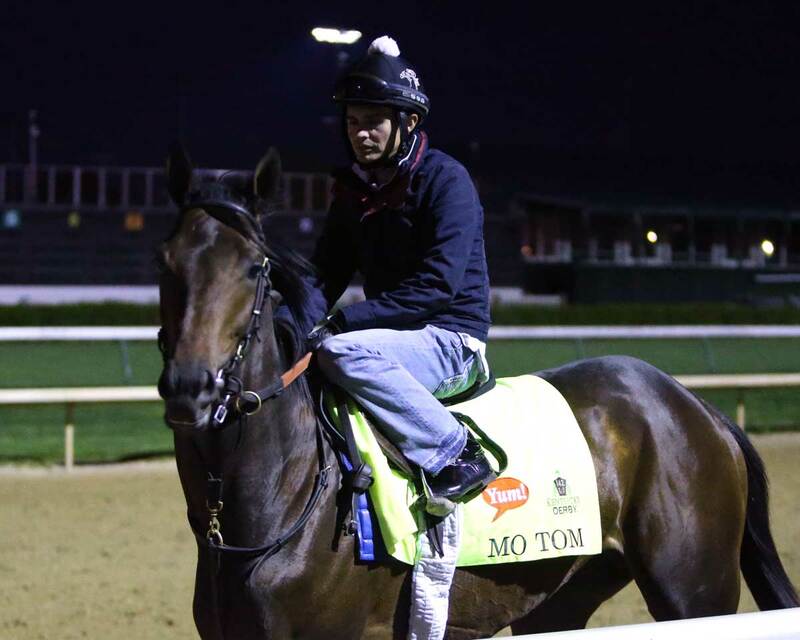 Read more about Mo Tom.